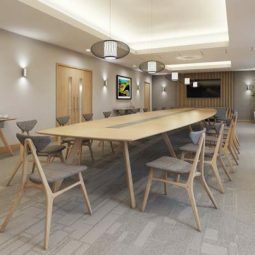 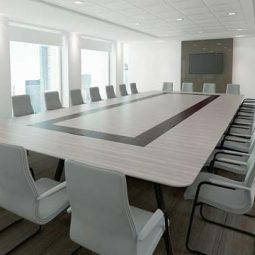 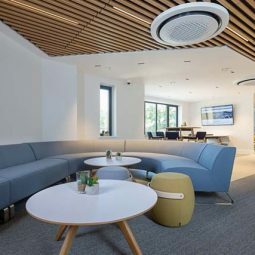 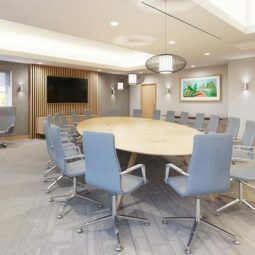 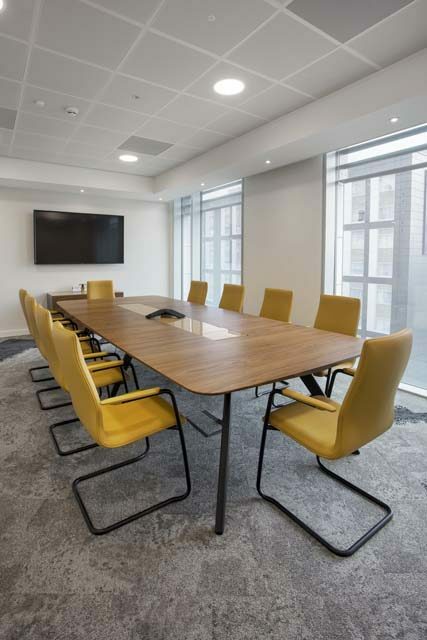 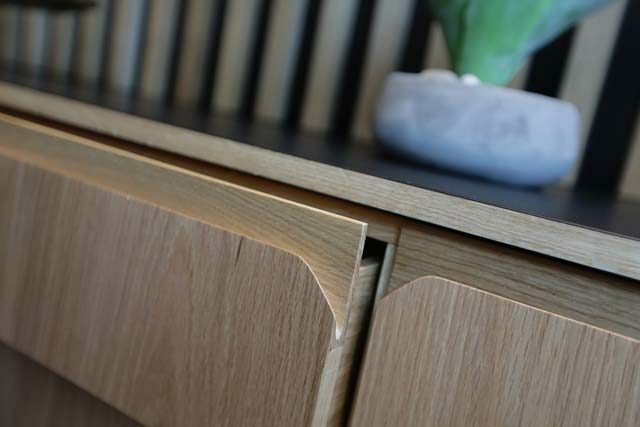 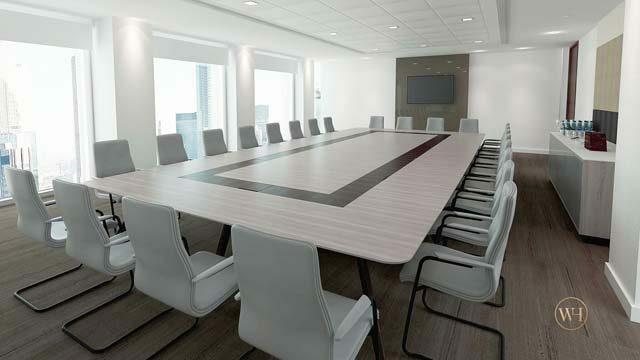 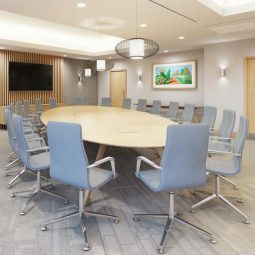 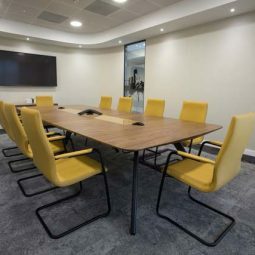 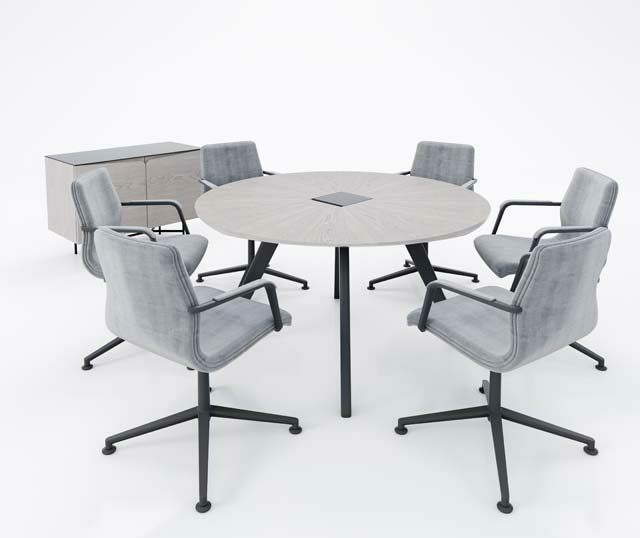 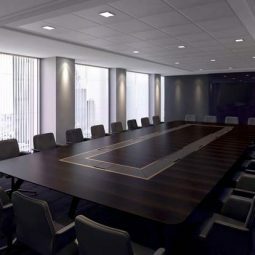 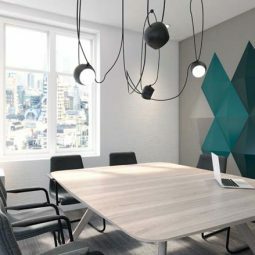 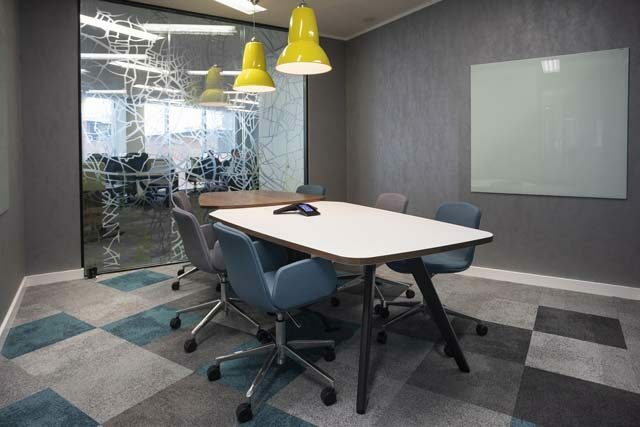 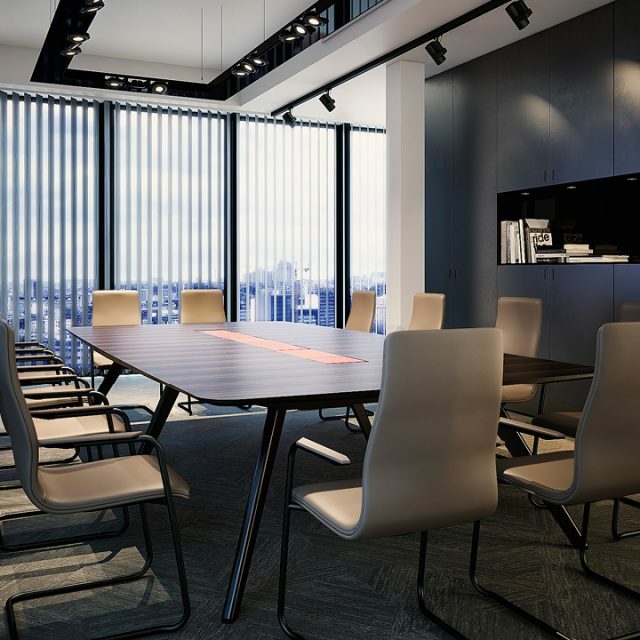 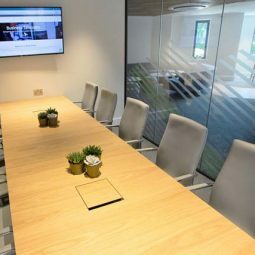 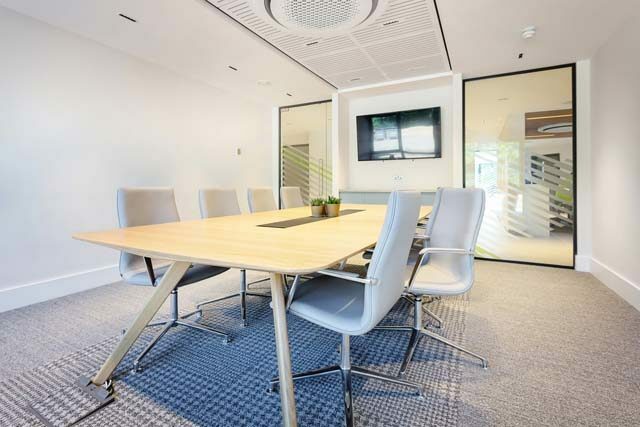 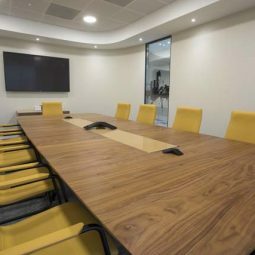 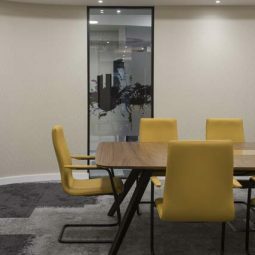 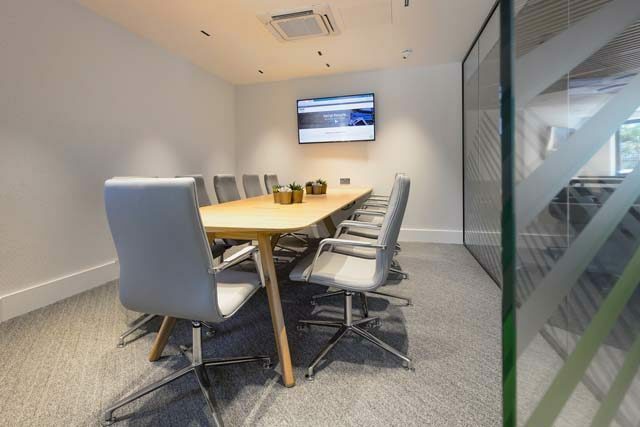 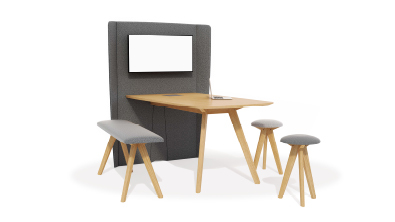 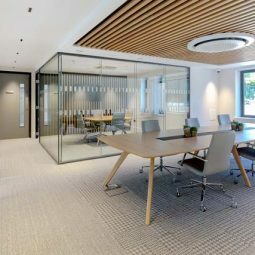 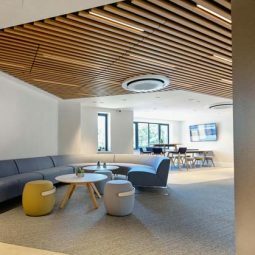 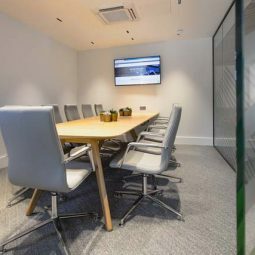 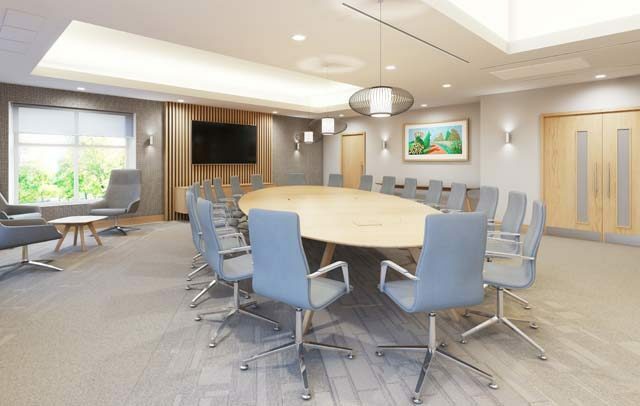 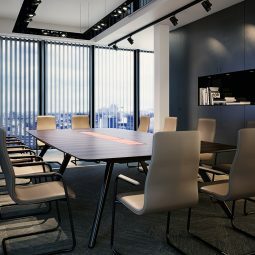 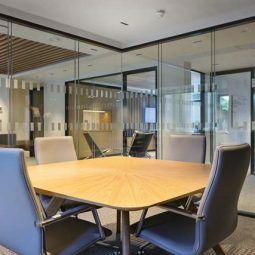 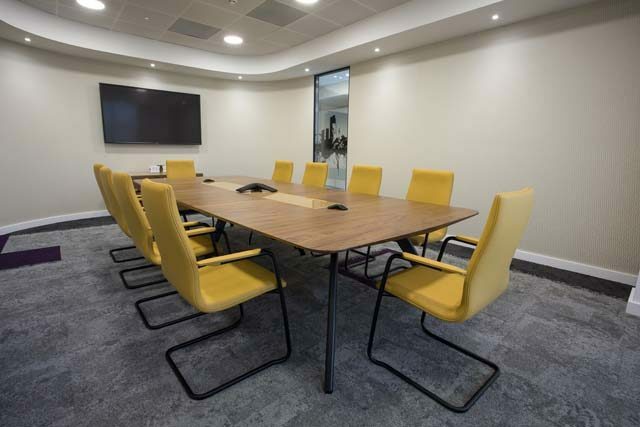 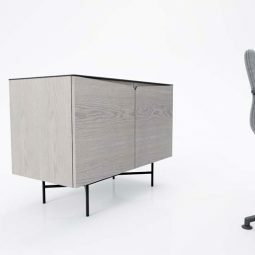 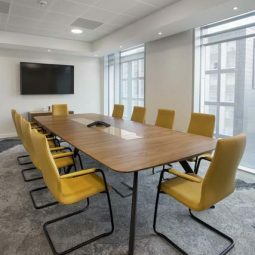 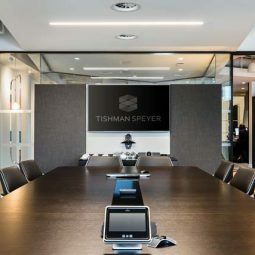 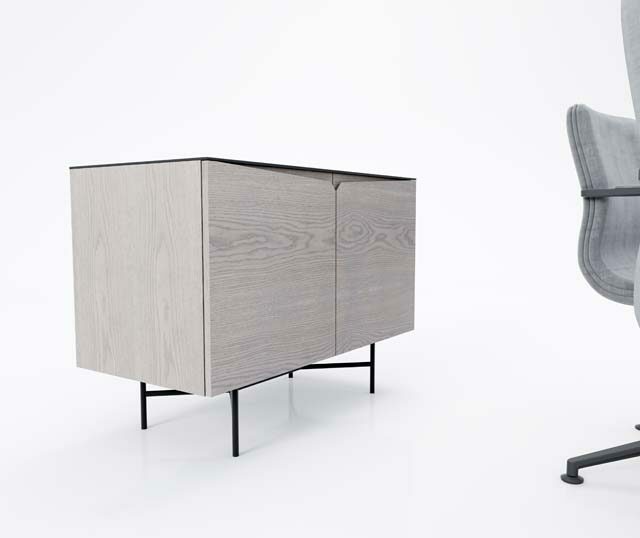 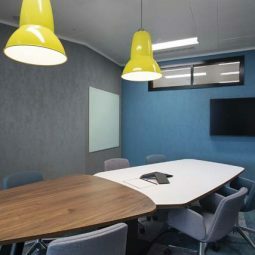 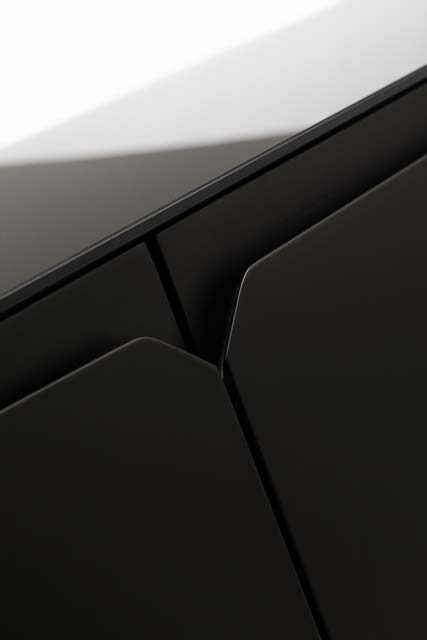 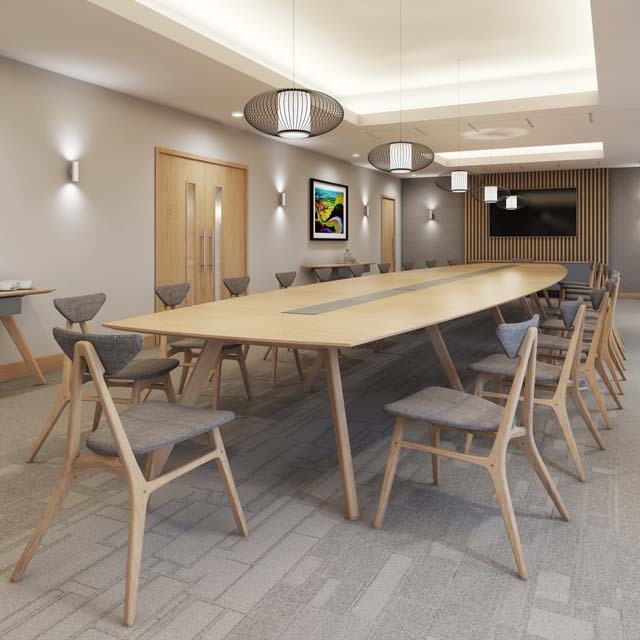 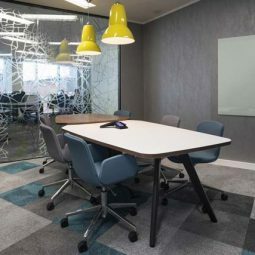 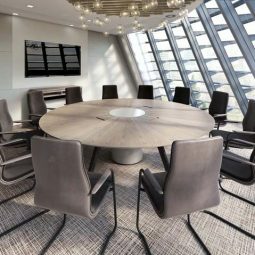 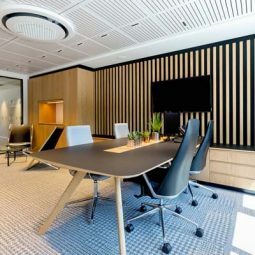 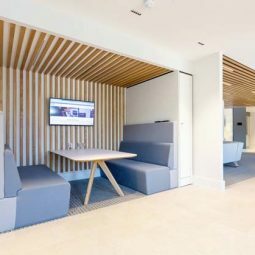 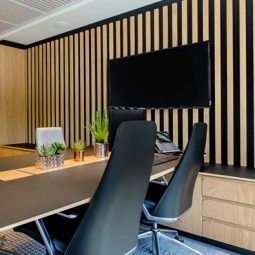 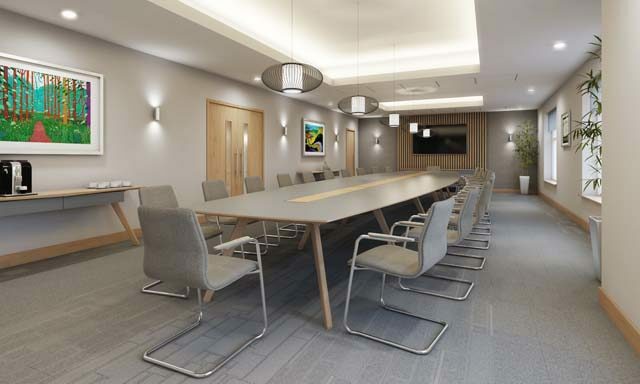 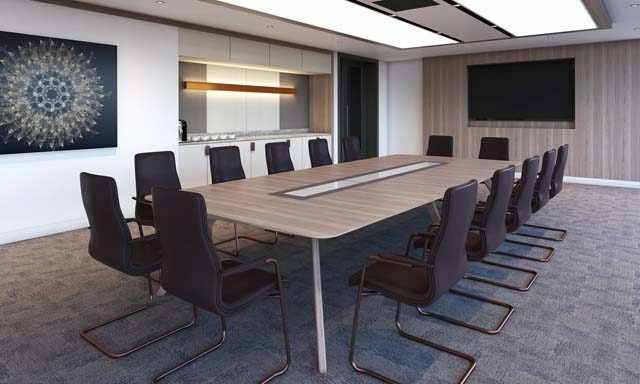 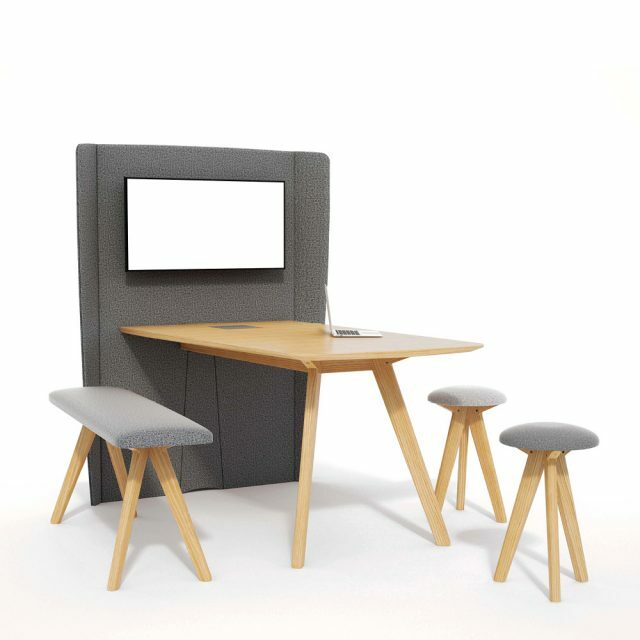 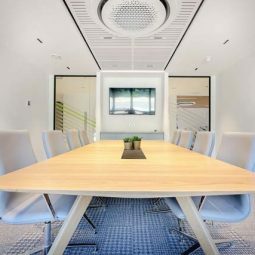 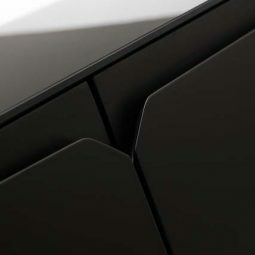 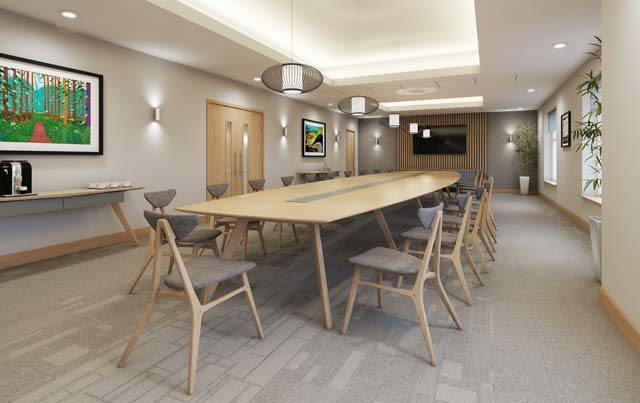 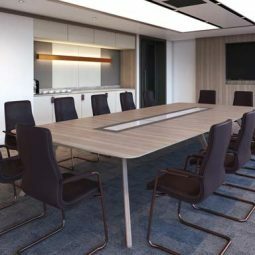 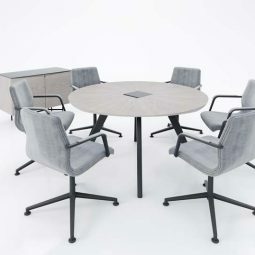 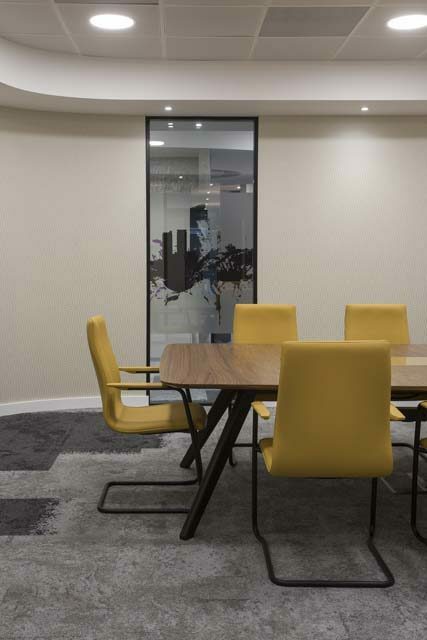 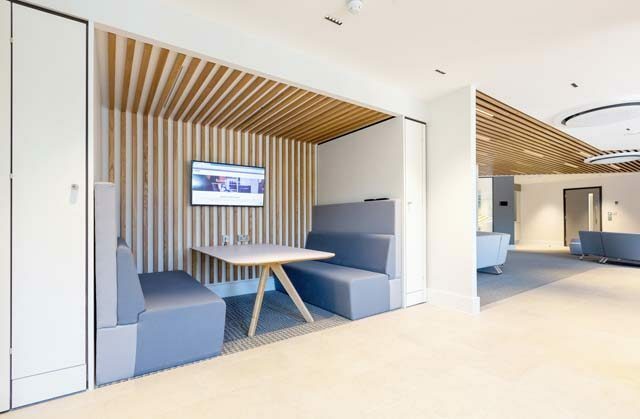 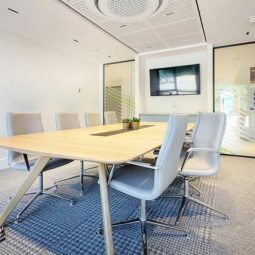 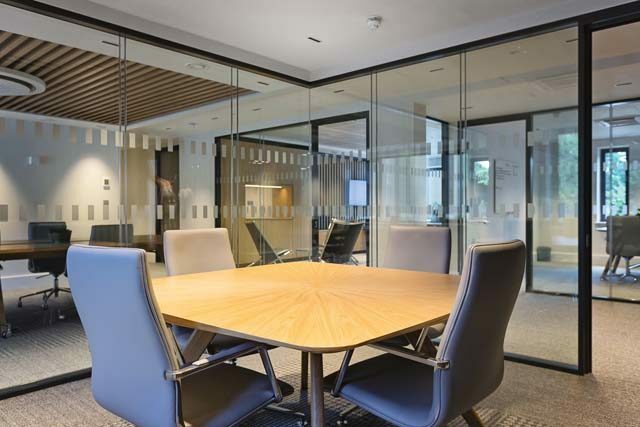 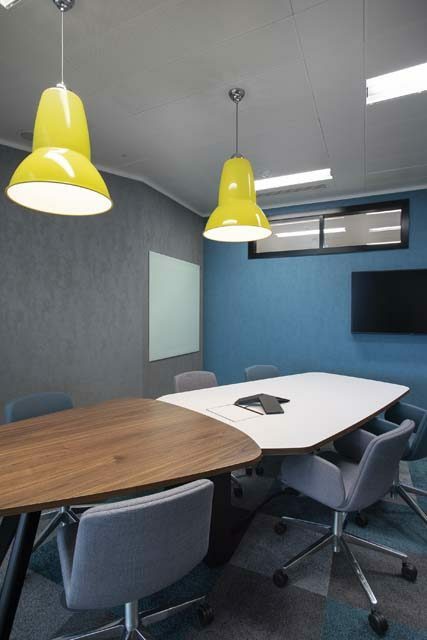 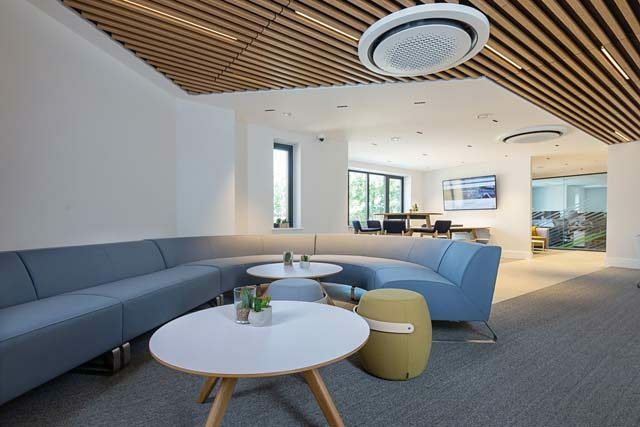 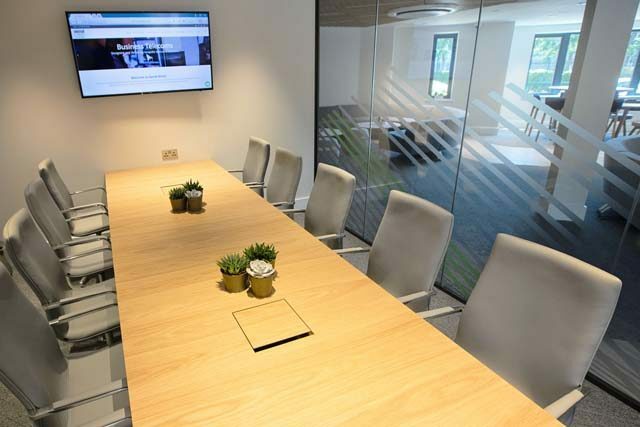 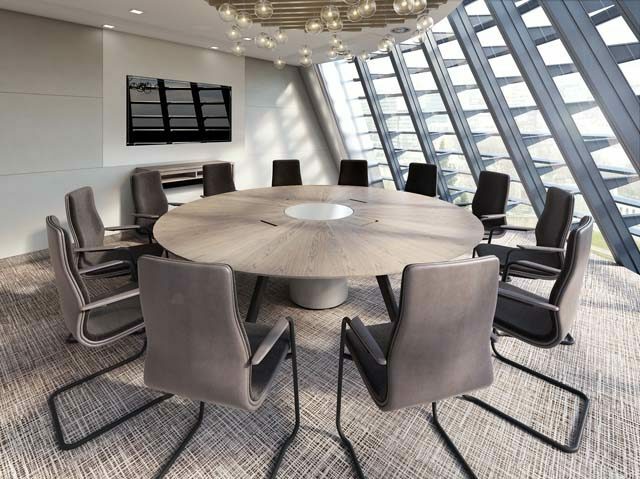 With an upholstered upright panel designed to support a mounted display screen, the VANTAGE IT HUB brings all the grace and elegance of our VANTAGE collection to breakout, informal and open plan meeting areas. 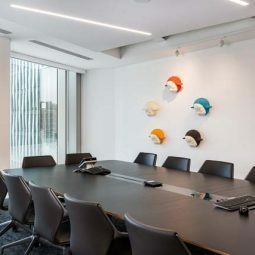 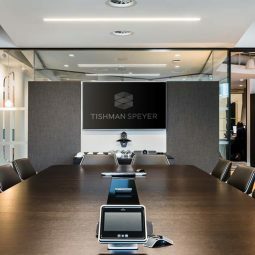 It’s an ideal focal point for team huddles, videoconferencing, presentations and updates, making them more productive by offering a visual component. 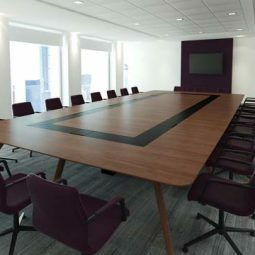 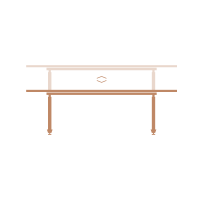 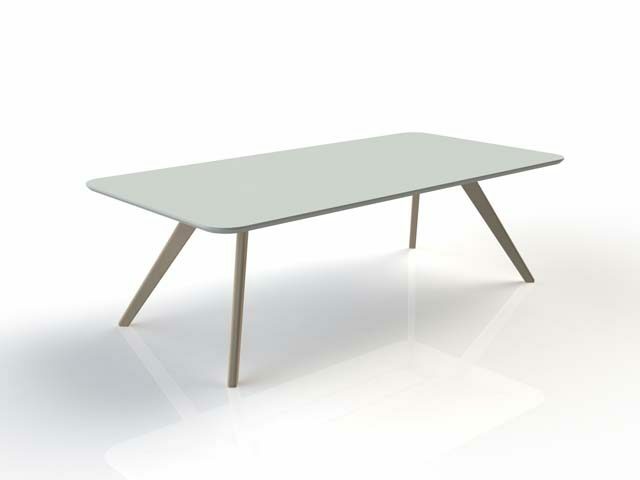 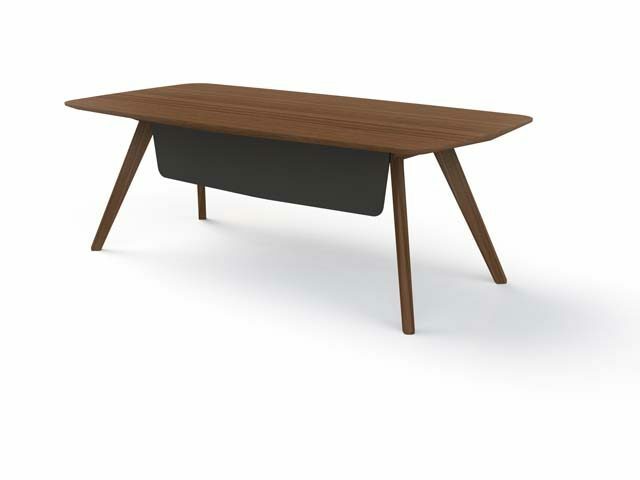 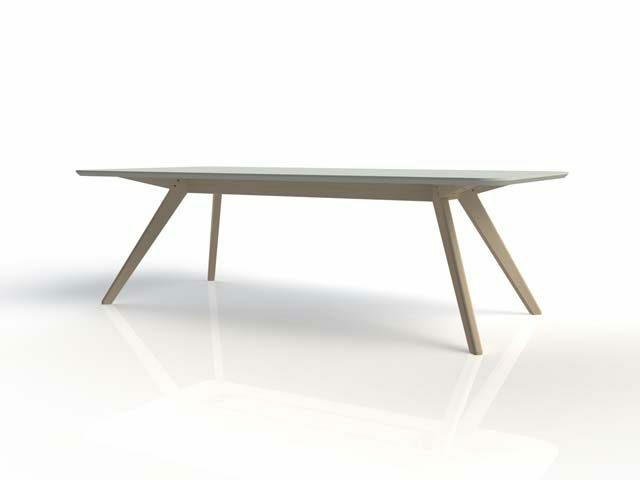 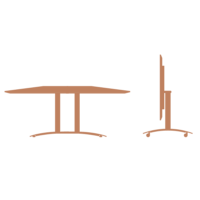 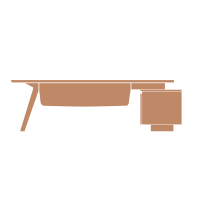 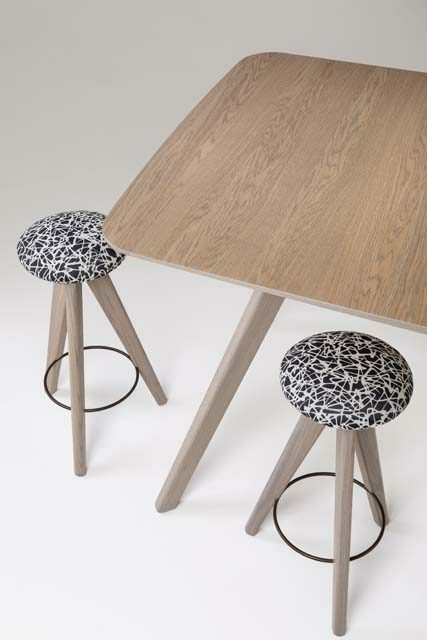 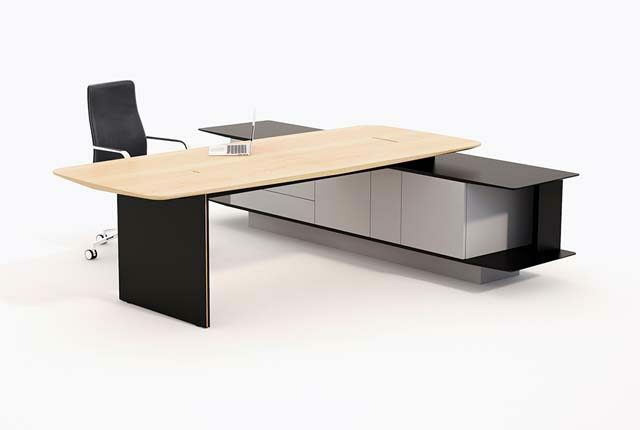 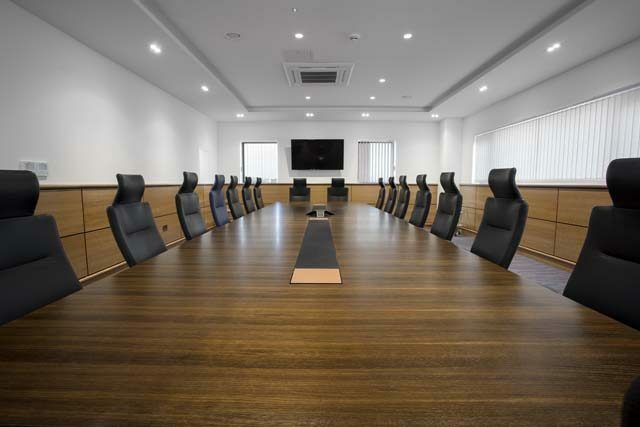 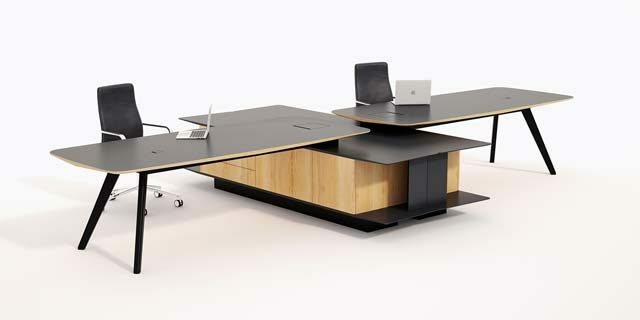 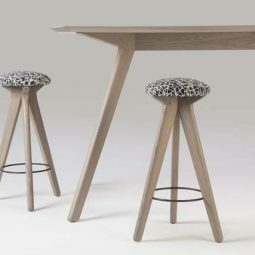 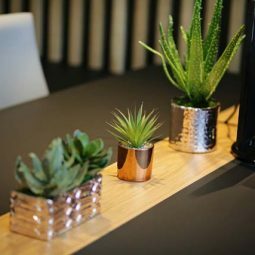 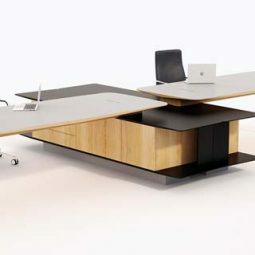 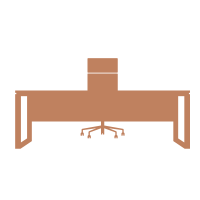 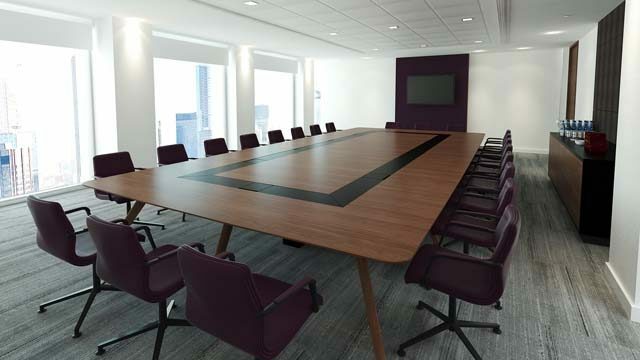 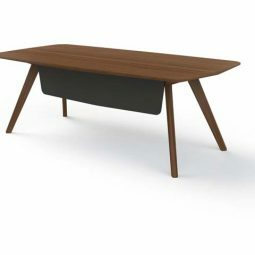 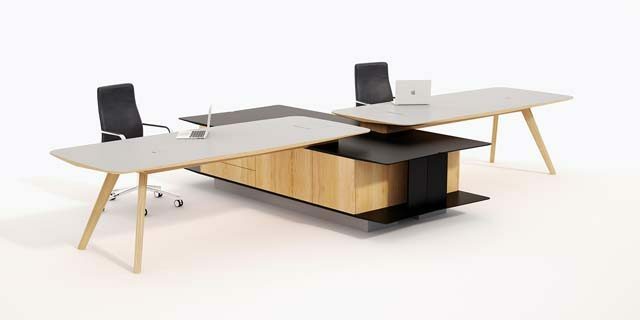 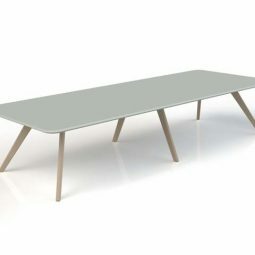 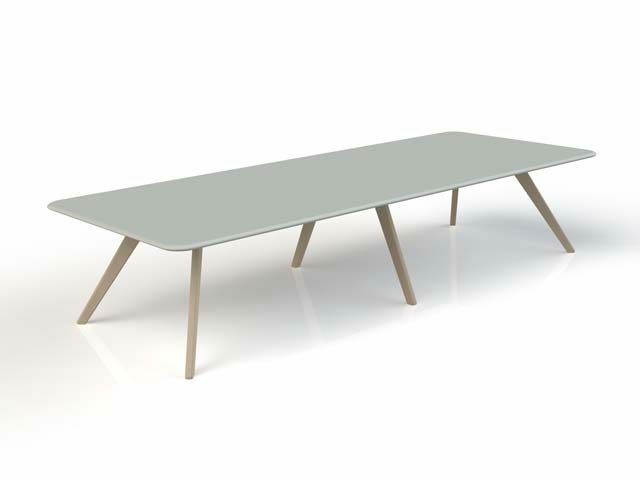 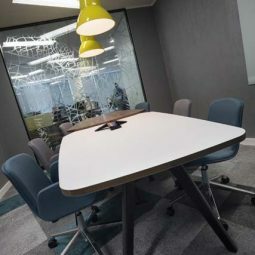 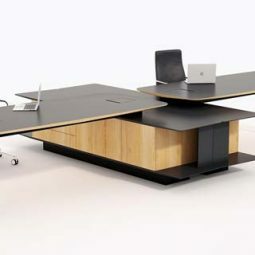 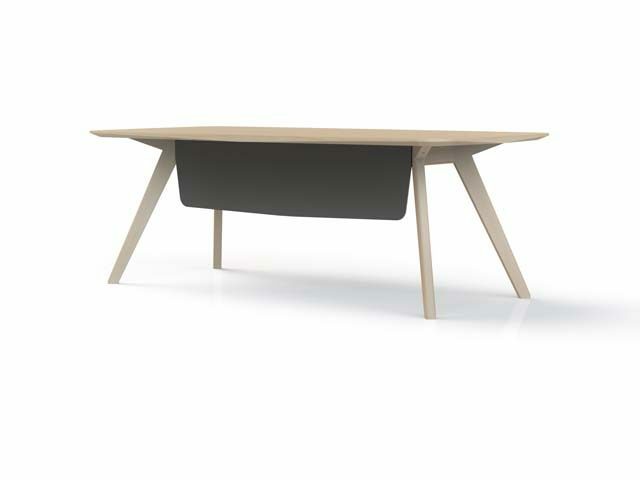 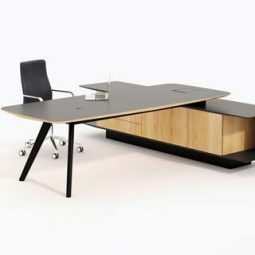 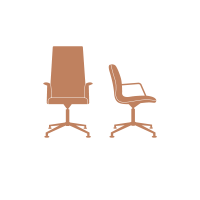 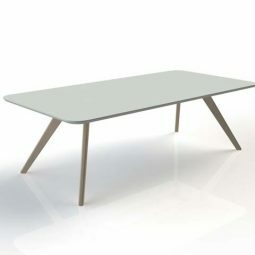 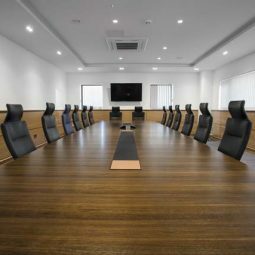 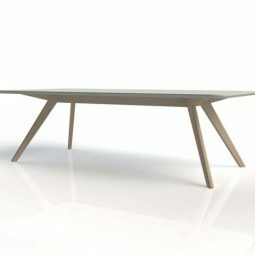 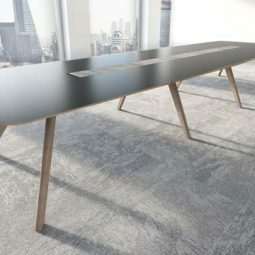 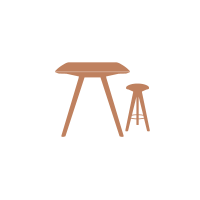 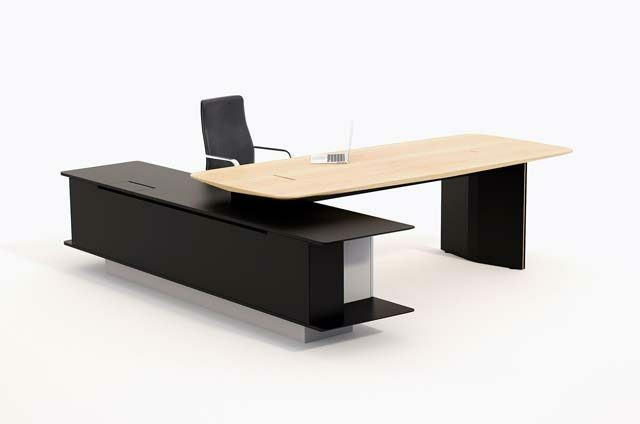 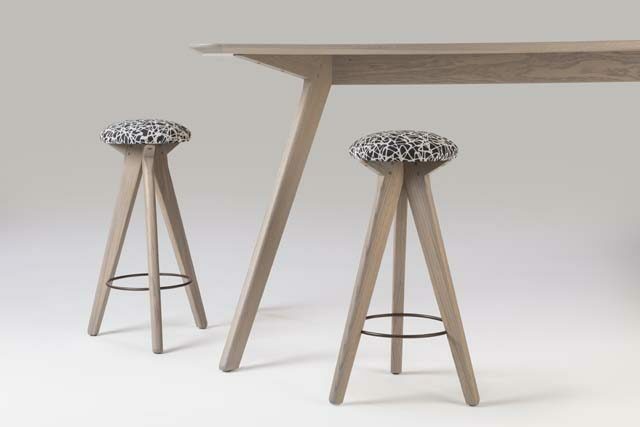 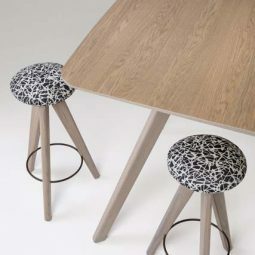 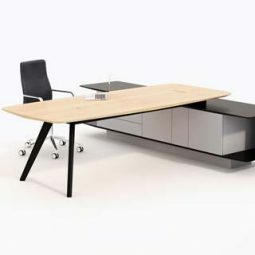 Like other tables and desks in the VANTAGE range, the VANTAGE IT HUB is available in three working heights and comes in numerous sizes with a variety of table shapes to suit any office furniture design scheme. 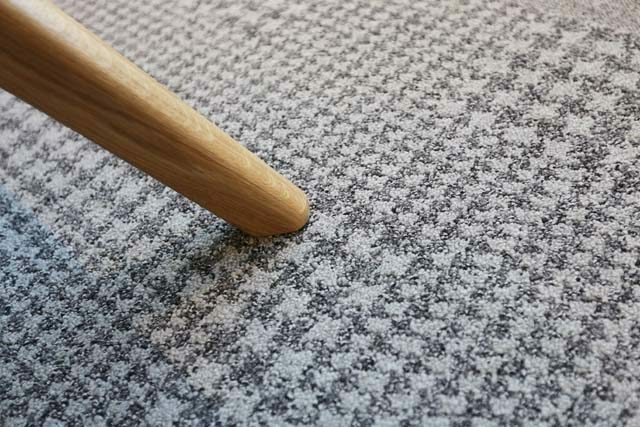 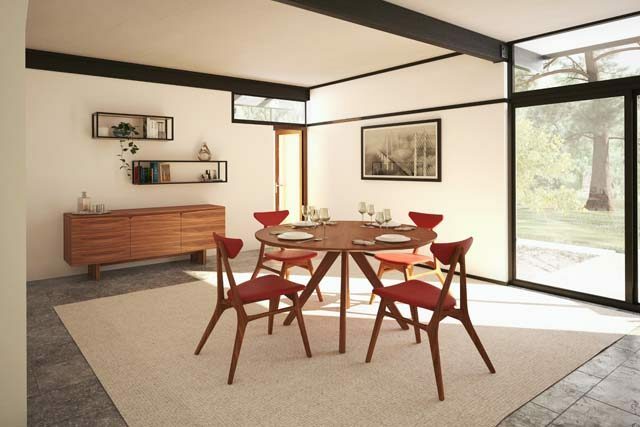 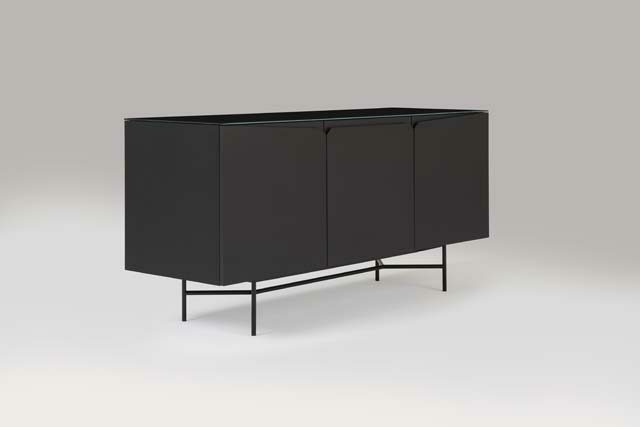 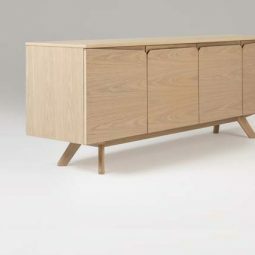 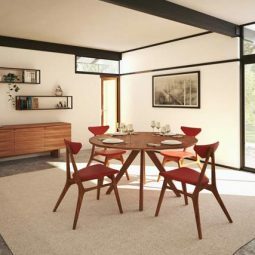 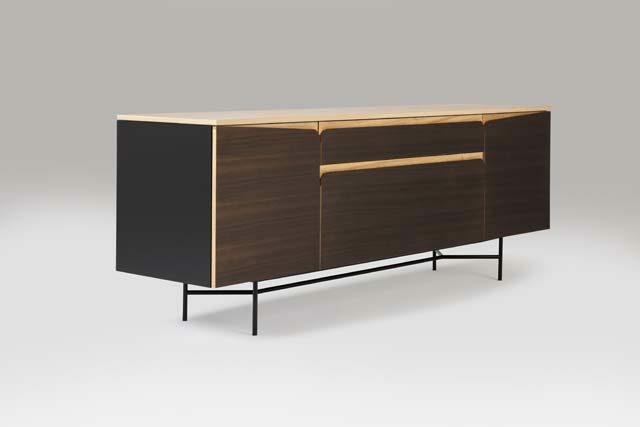 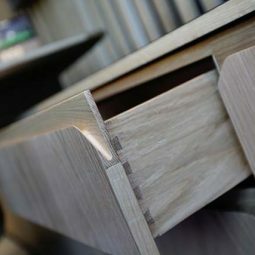 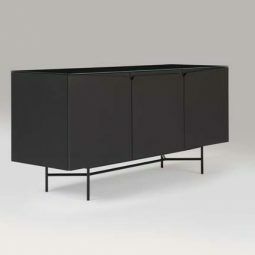 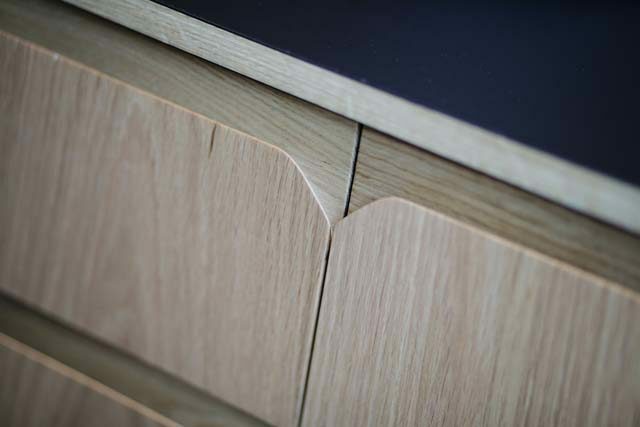 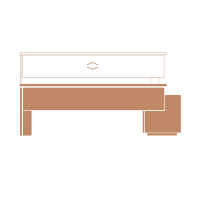 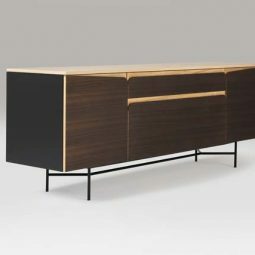 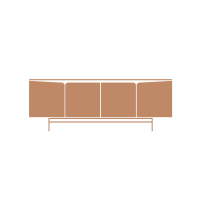 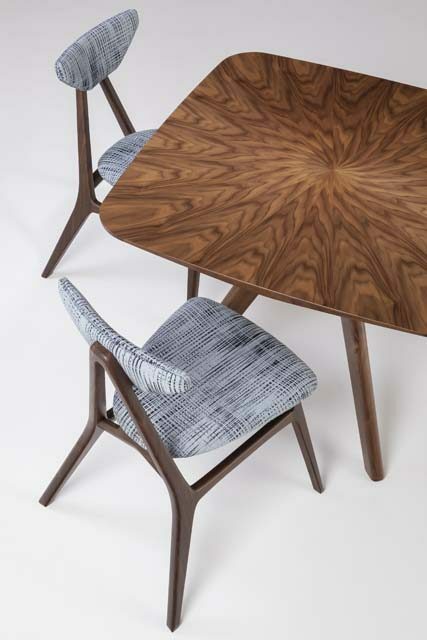 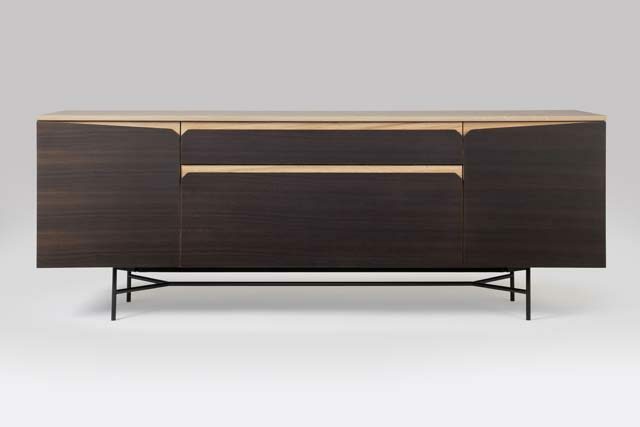 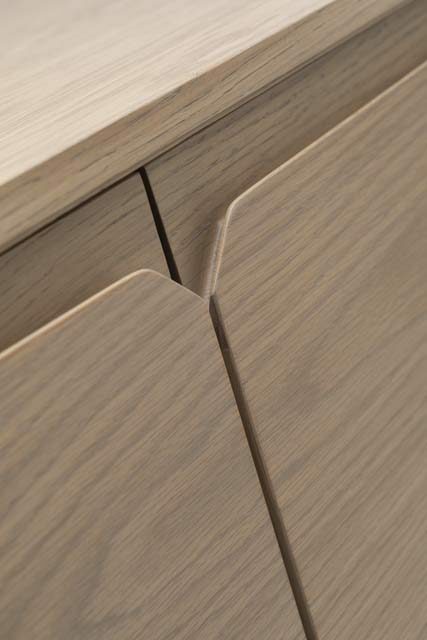 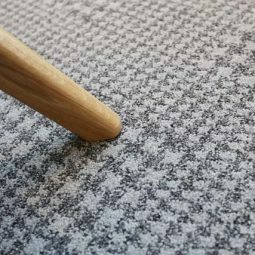 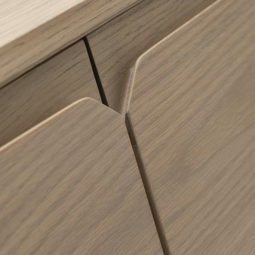 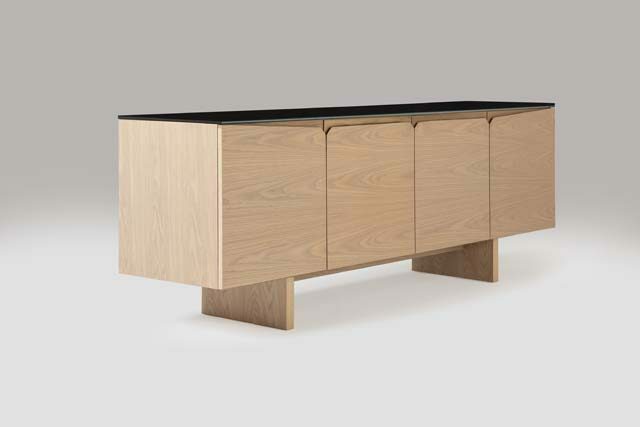 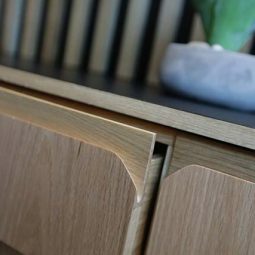 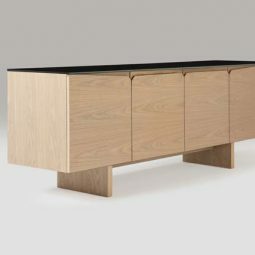 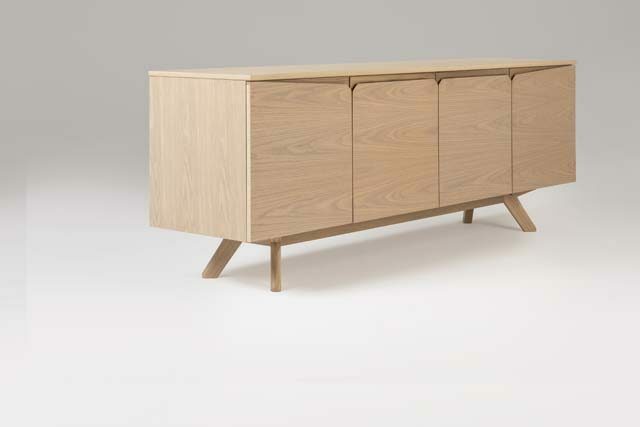 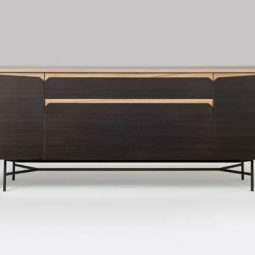 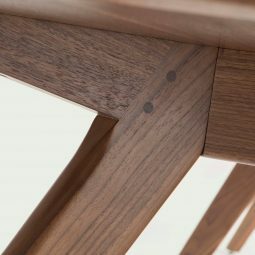 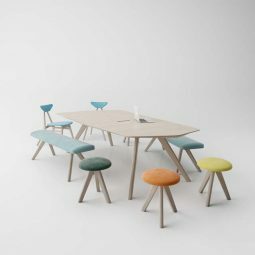 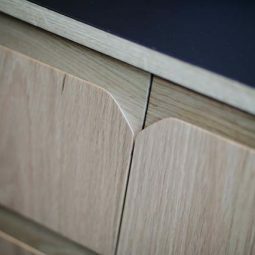 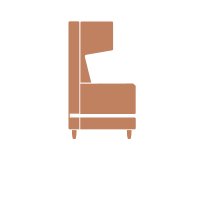 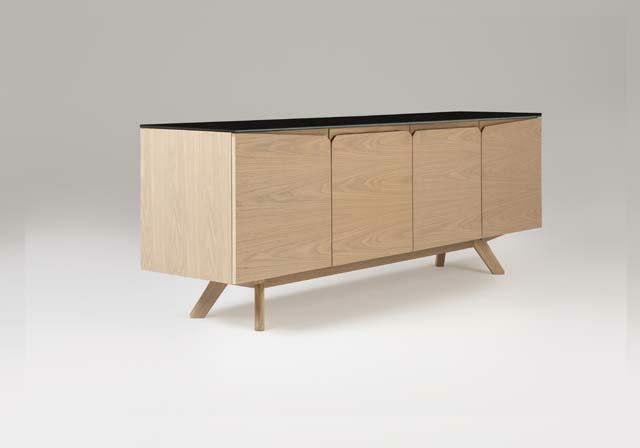 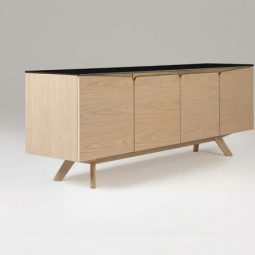 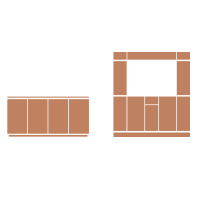 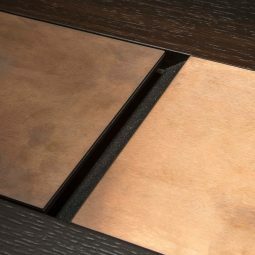 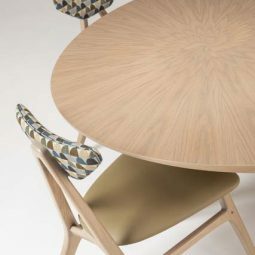 The upholstered panel comes in a selection of colours, and can be specified to suit a particular palette. 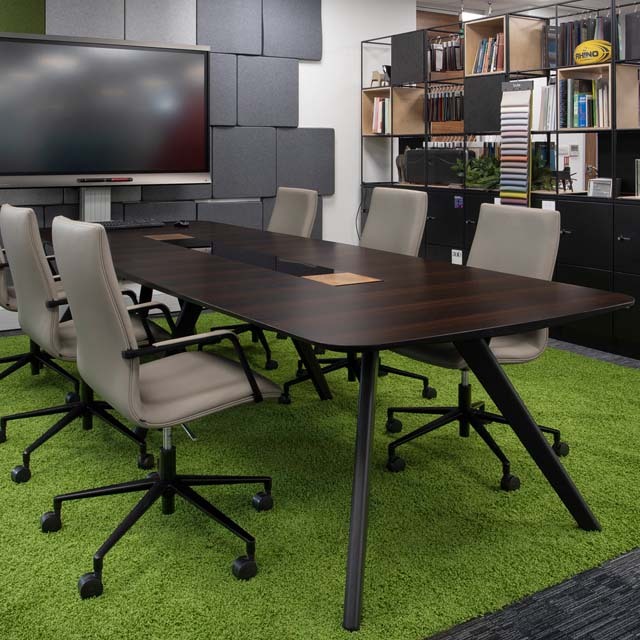 With its internal cable management system extending to floor level, the VANTAGE IT HUB is ideal for sleek and effective audio-visual presentations. 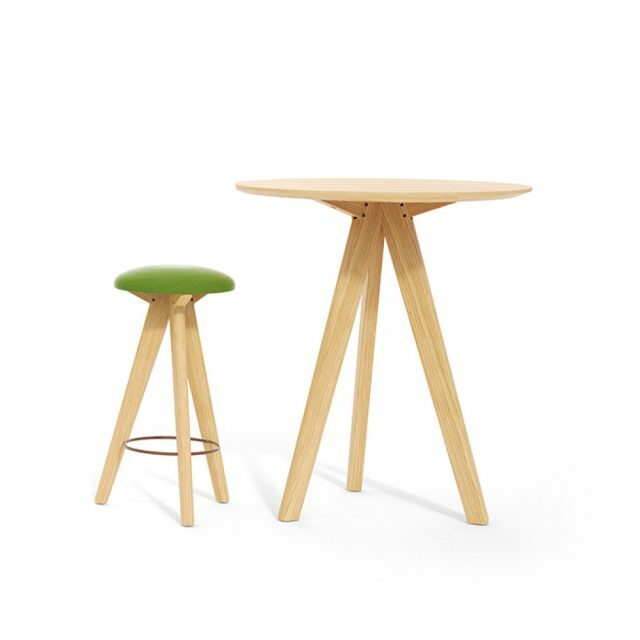 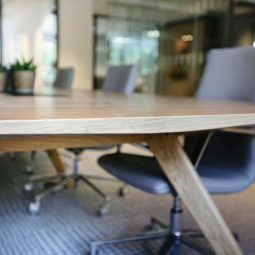 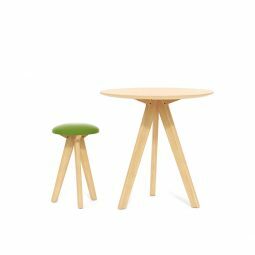 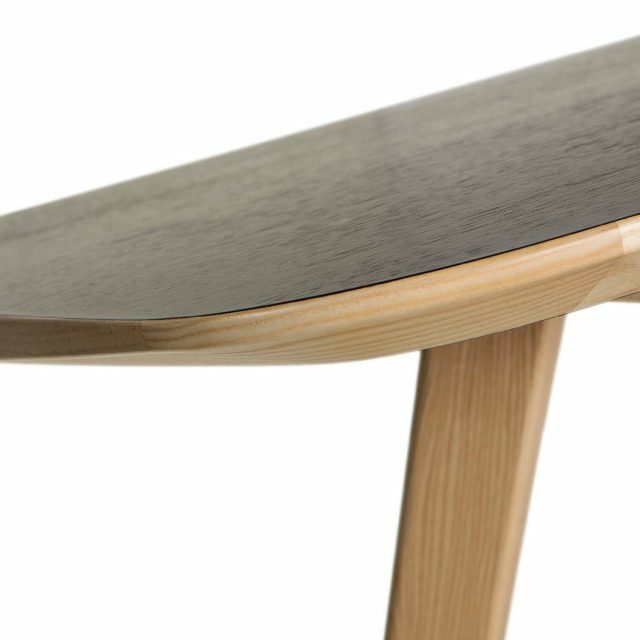 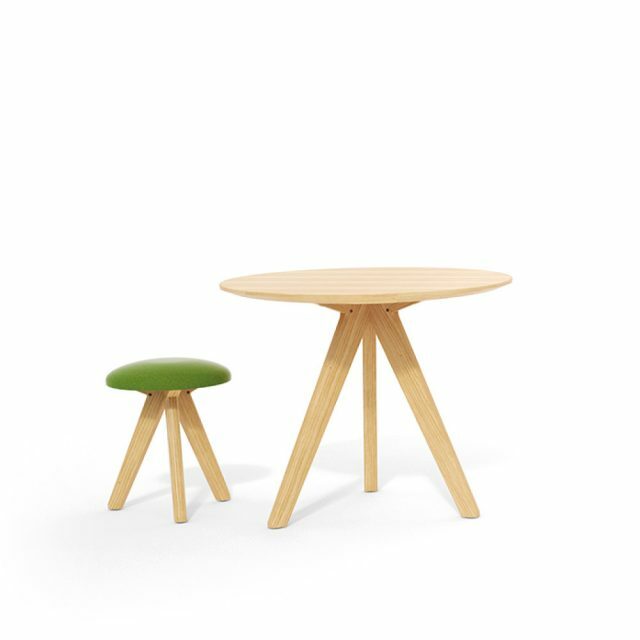 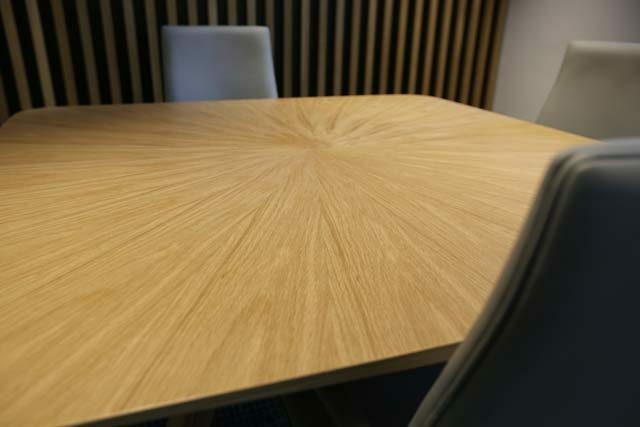 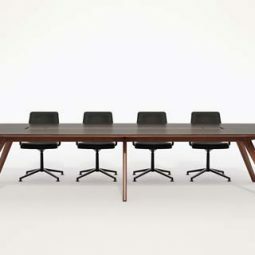 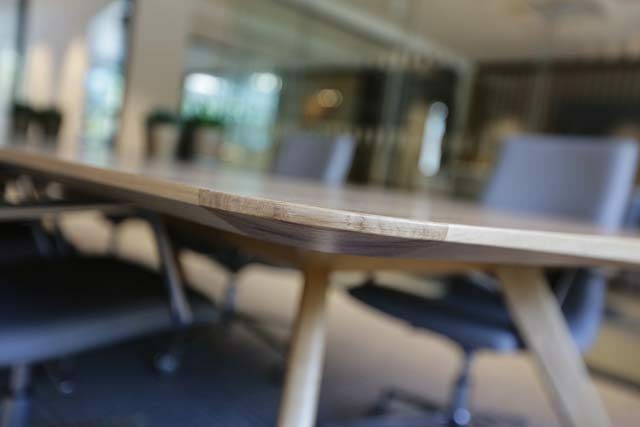 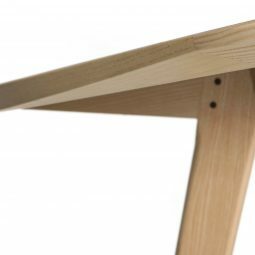 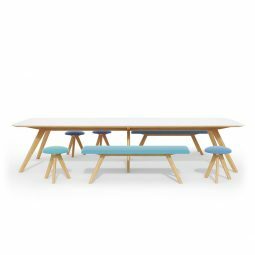 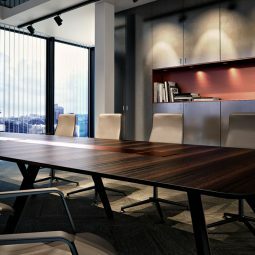 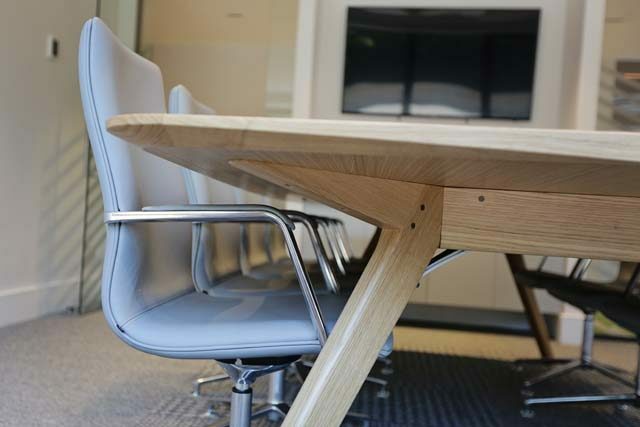 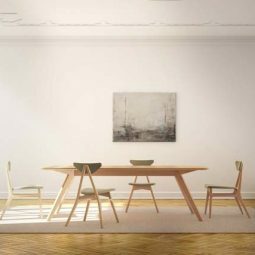 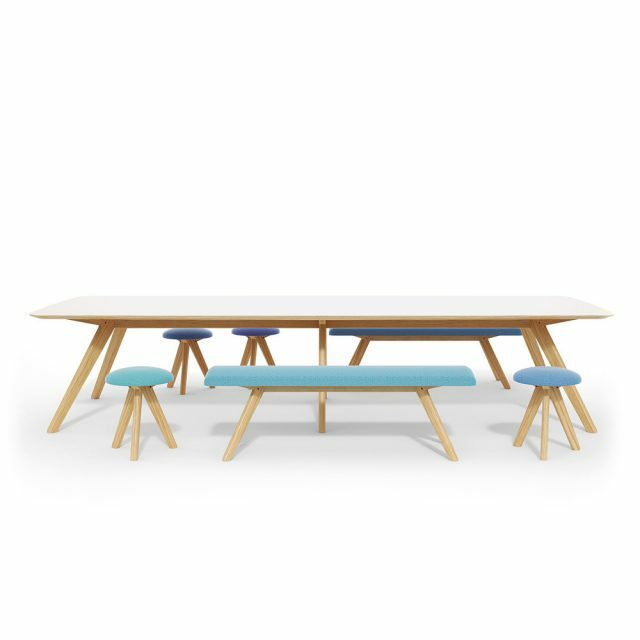 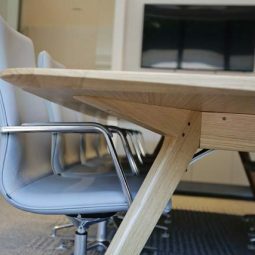 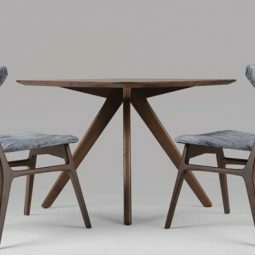 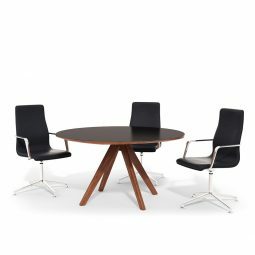 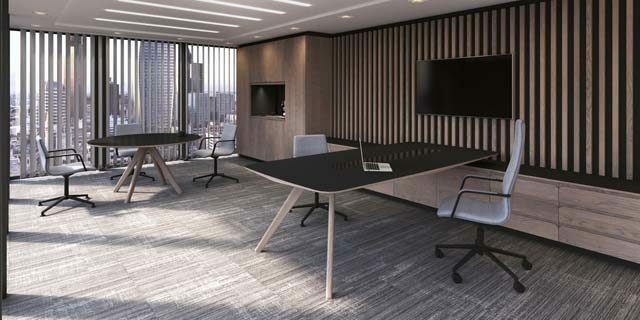 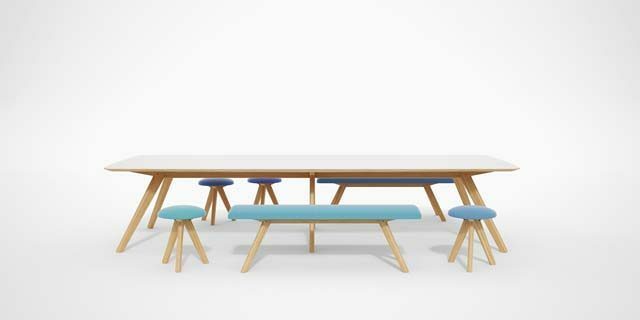 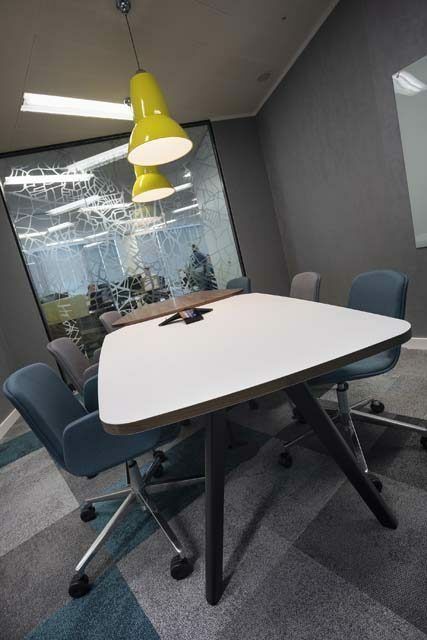 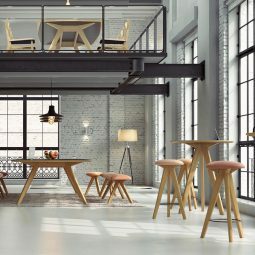 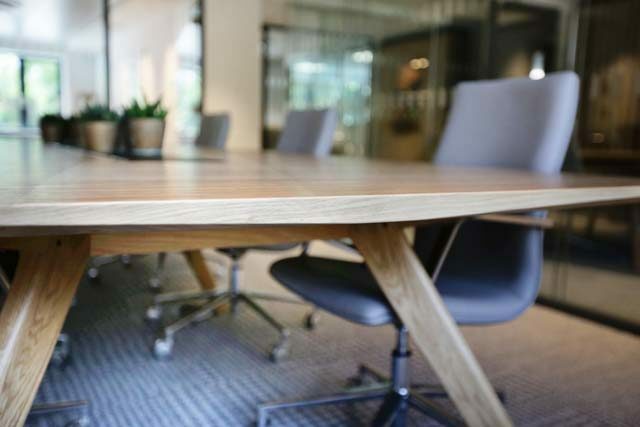 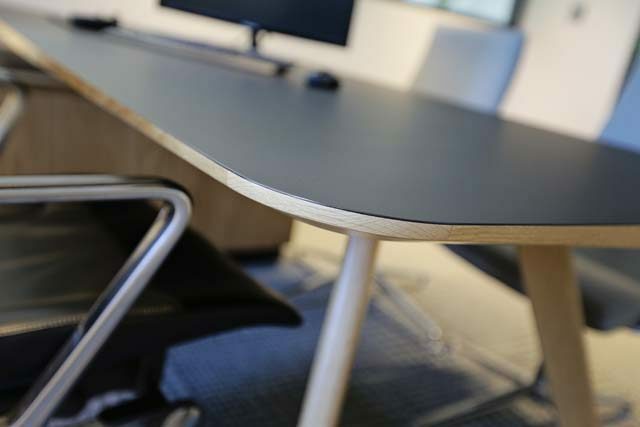 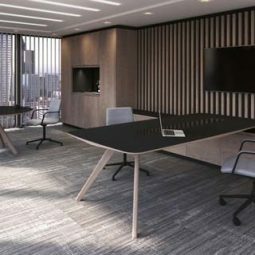 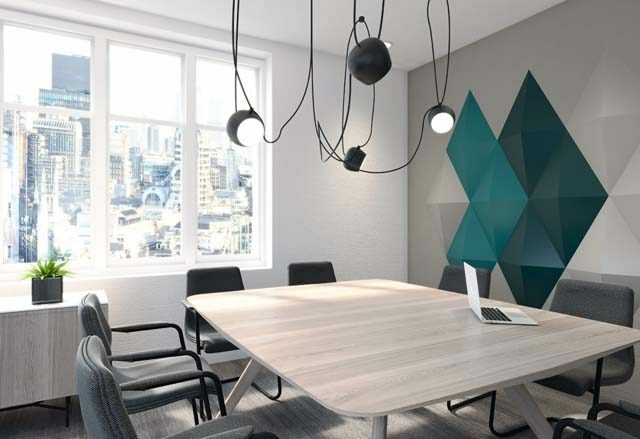 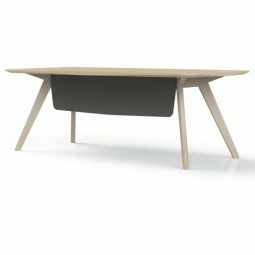 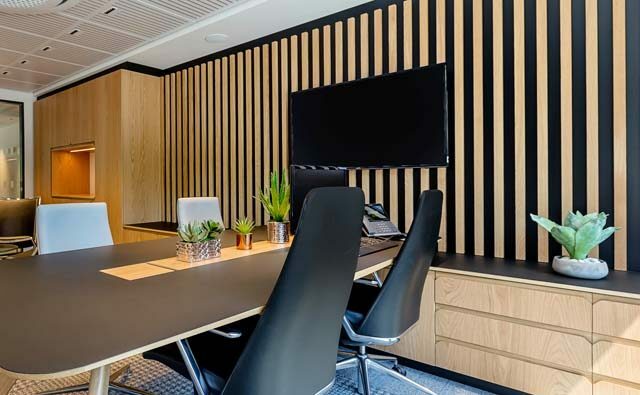 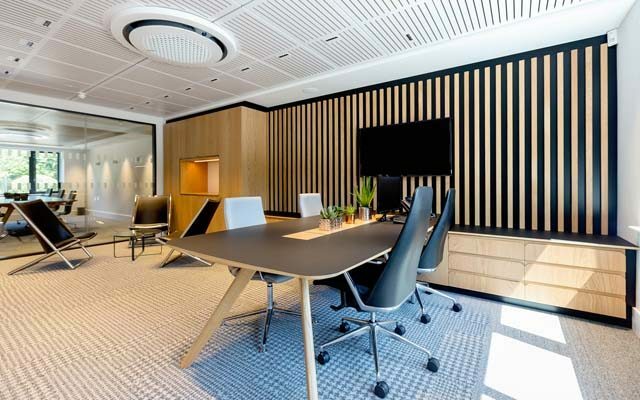 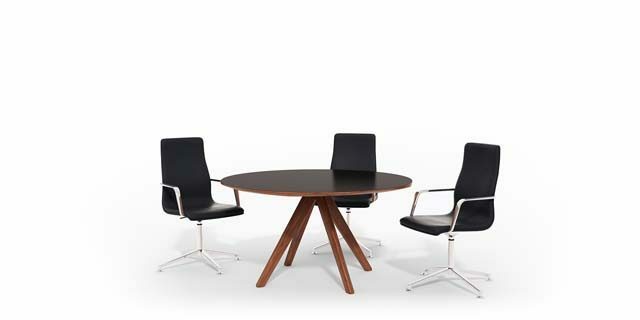 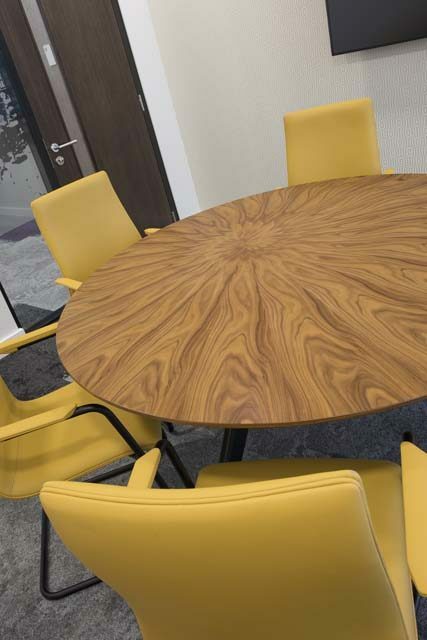 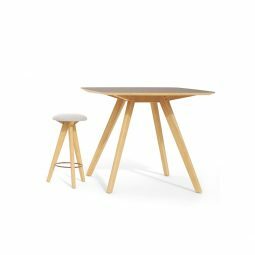 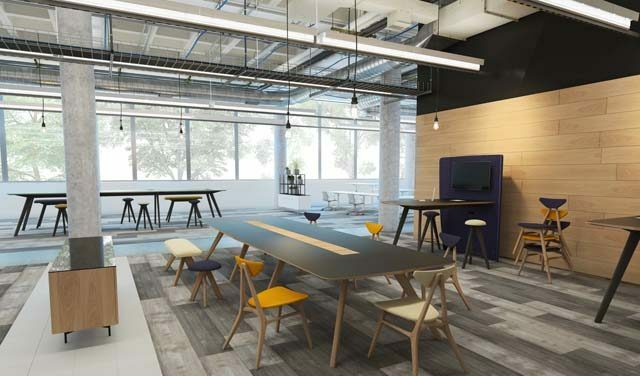 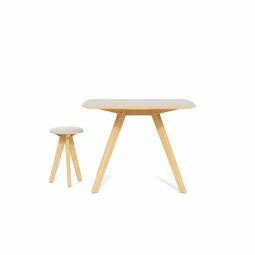 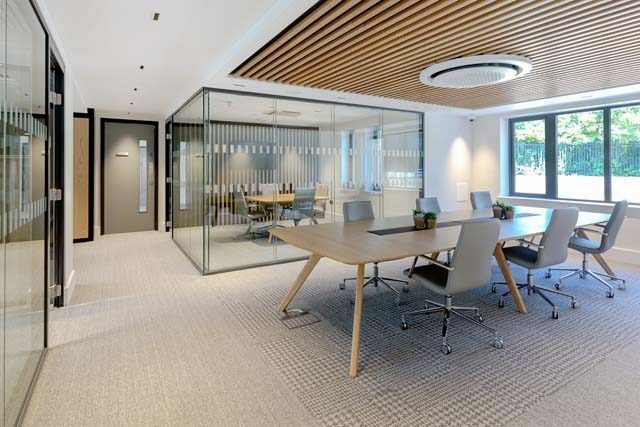 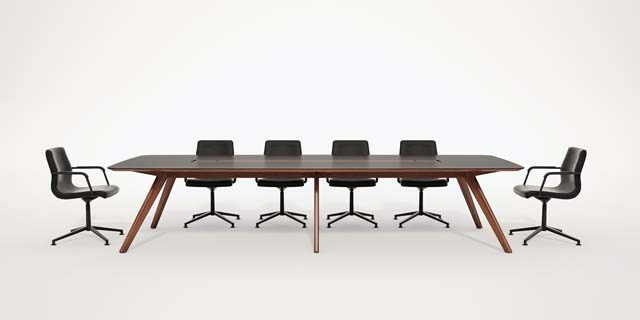 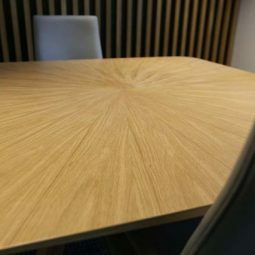 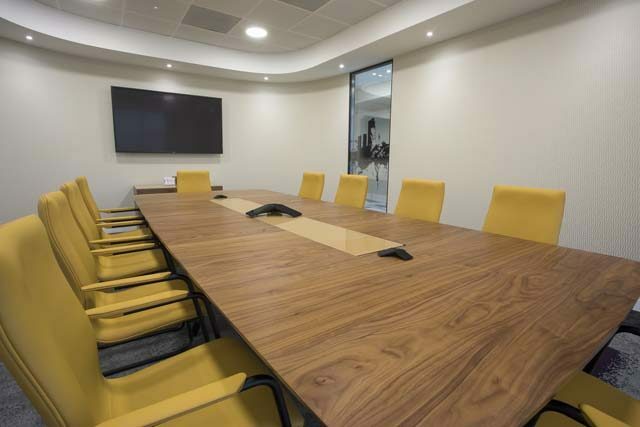 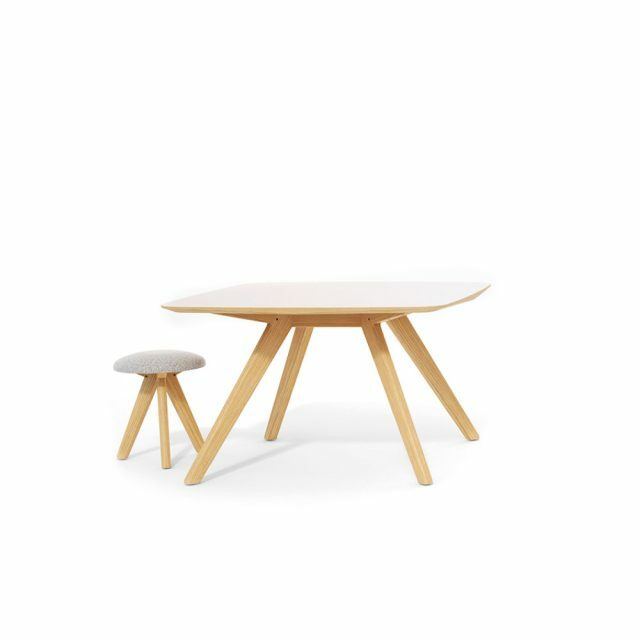 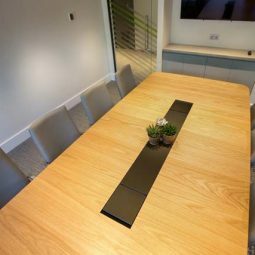 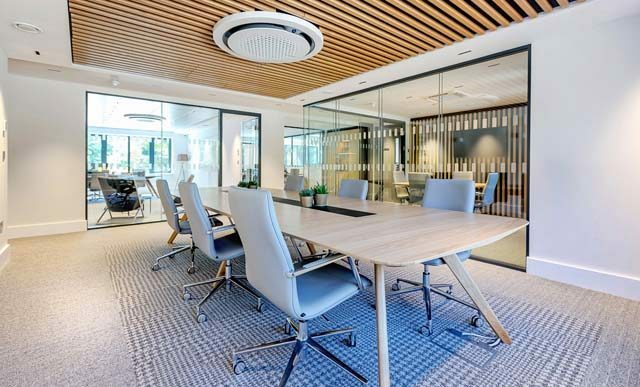 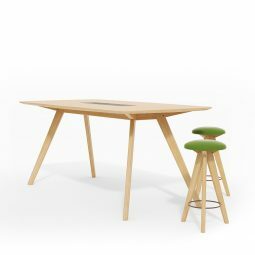 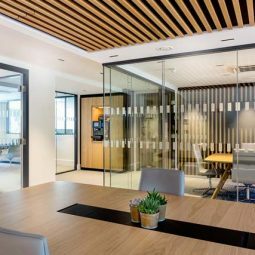 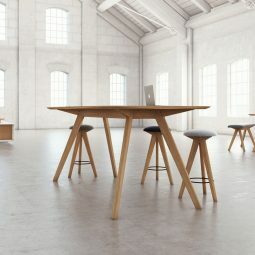 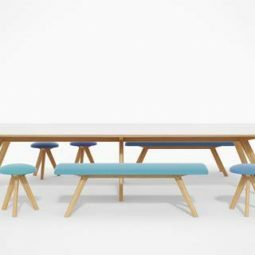 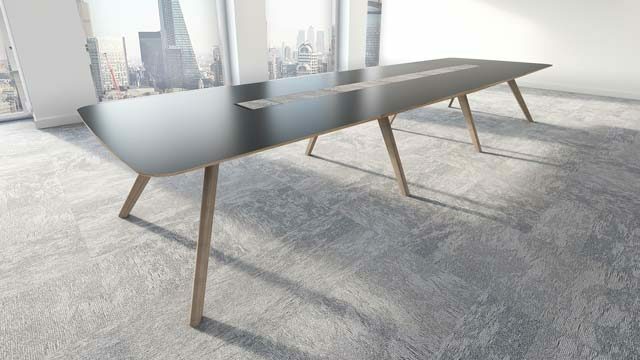 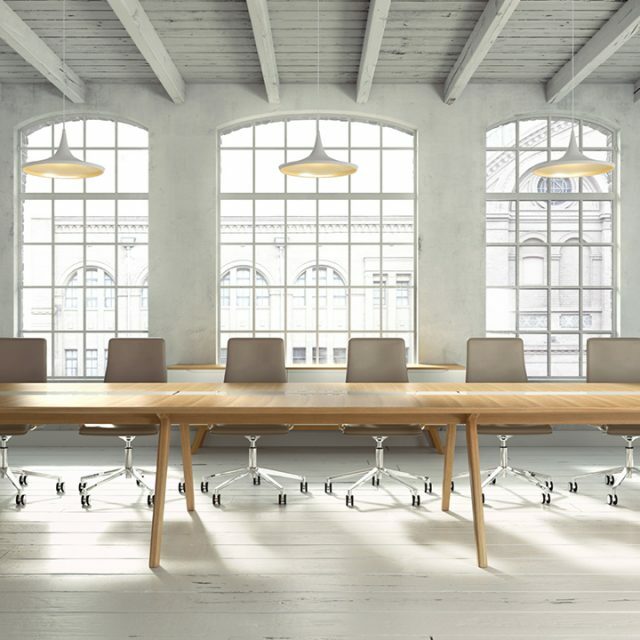 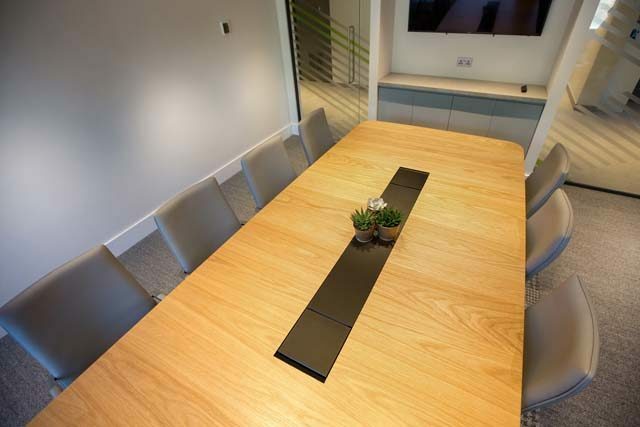 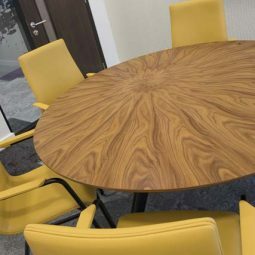 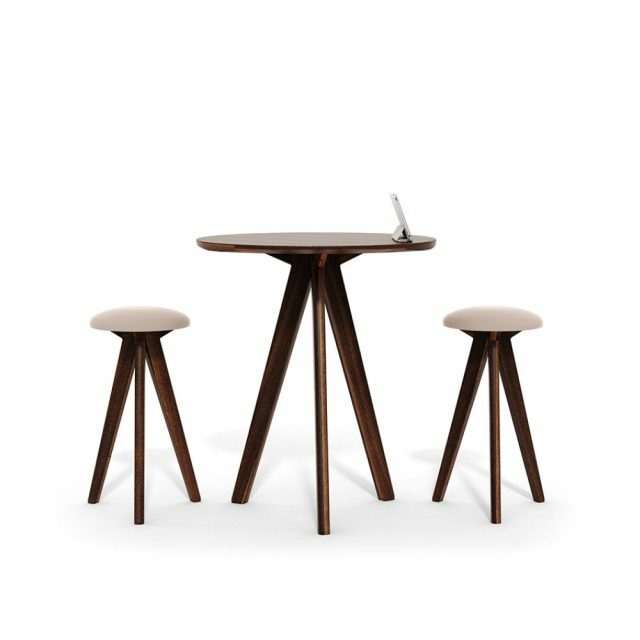 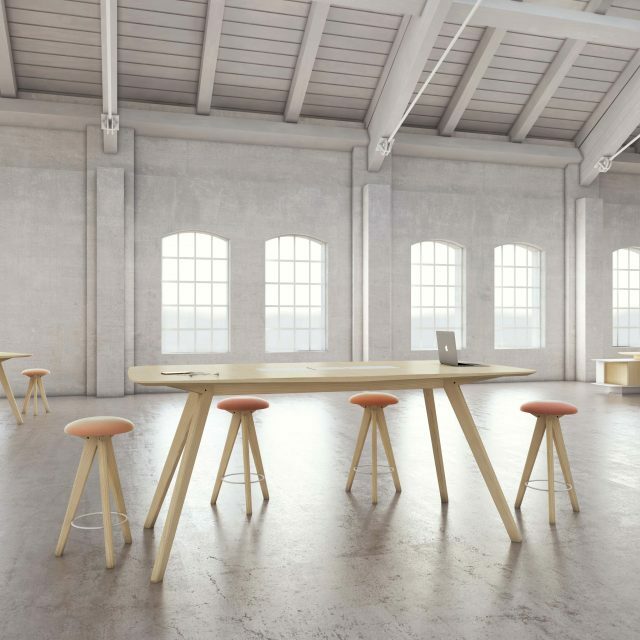 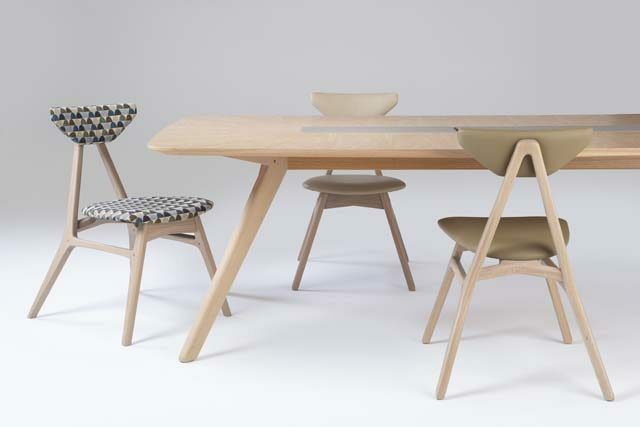 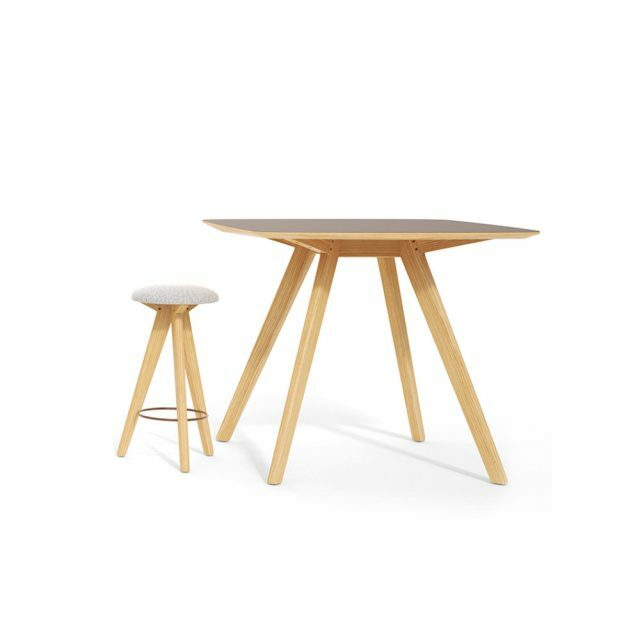 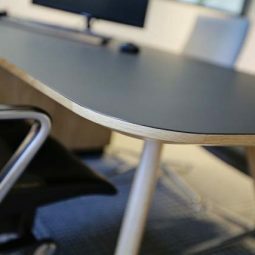 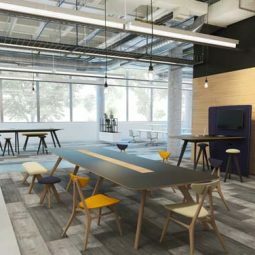 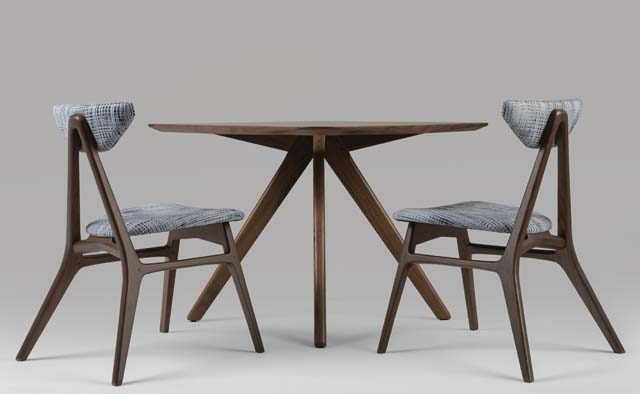 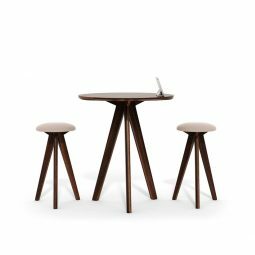 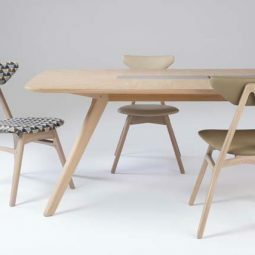 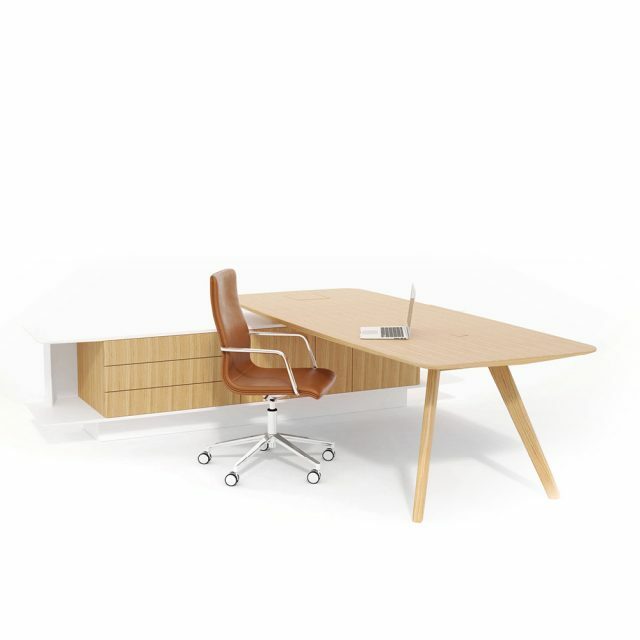 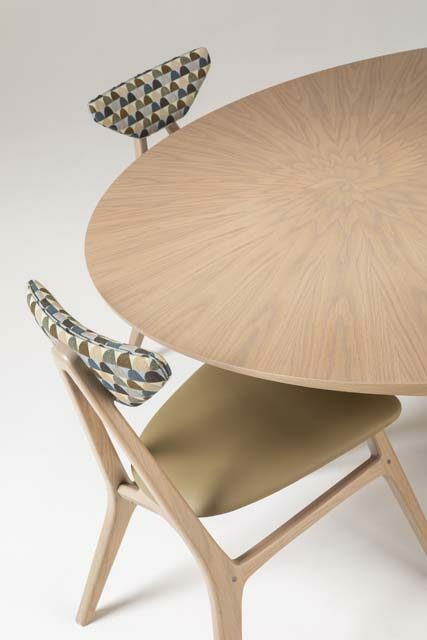 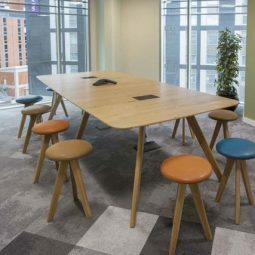 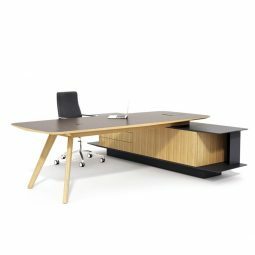 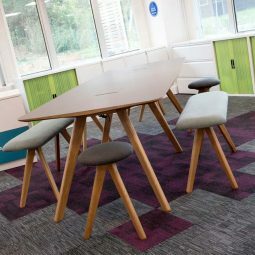 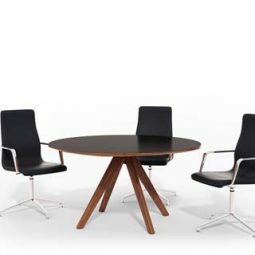 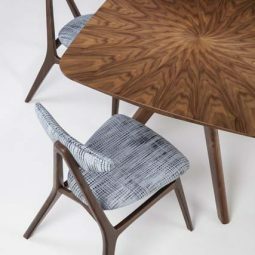 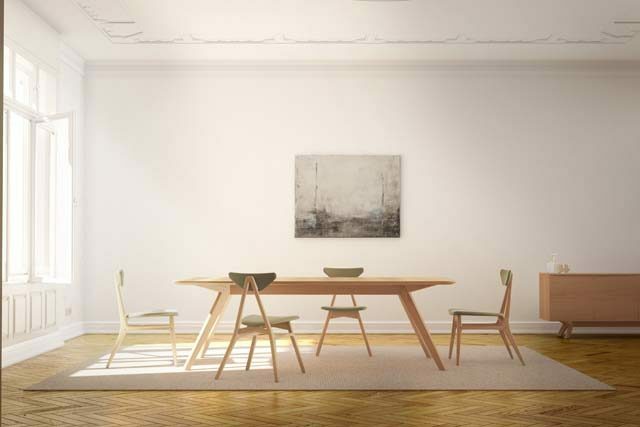 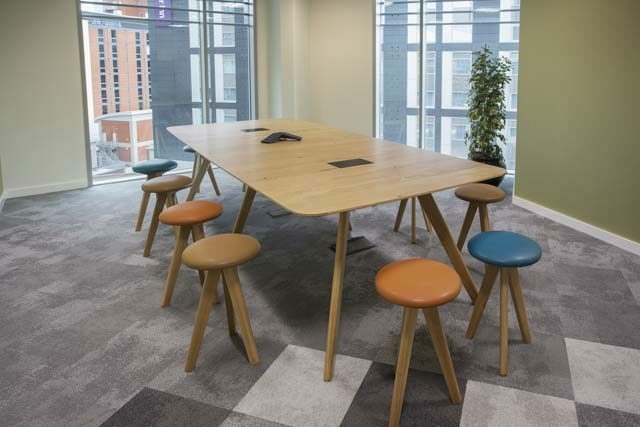 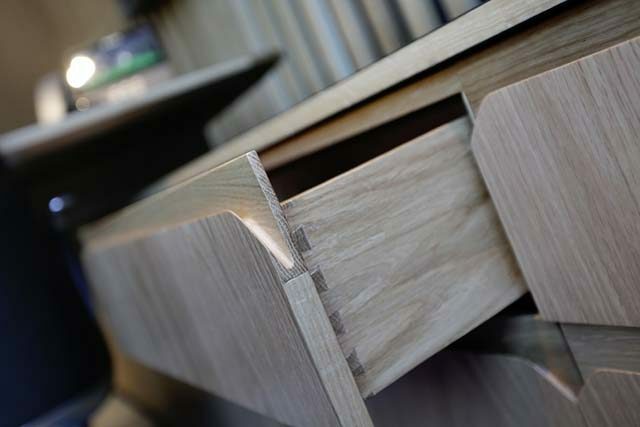 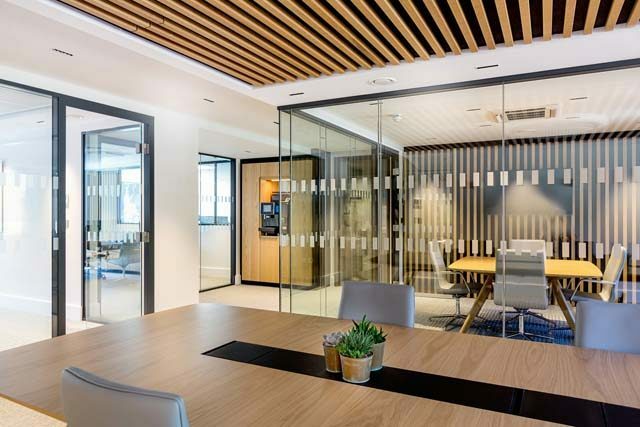 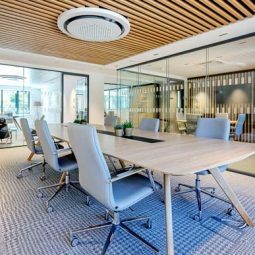 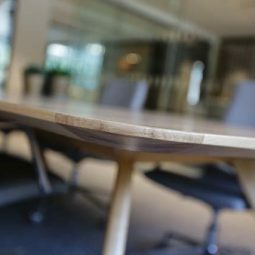 Complemented by matching tables and seating from the VANTAGE range, the IT HUB brings a natural wood finish and soft elegant lines to the contemporary agile workspace. 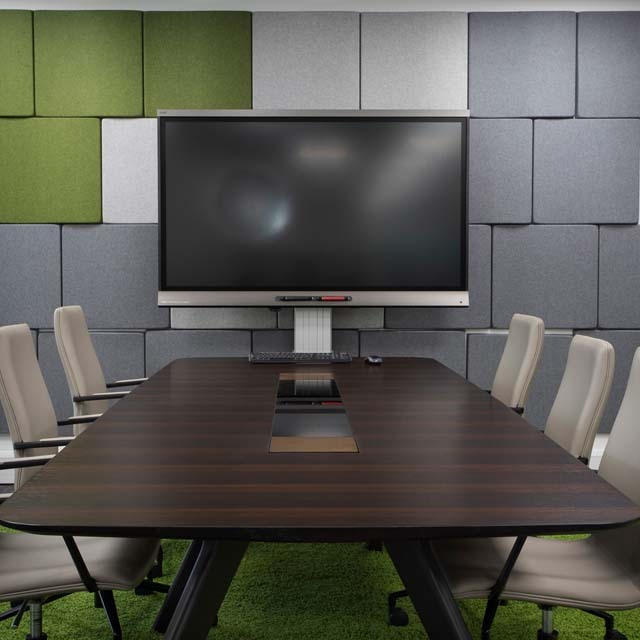 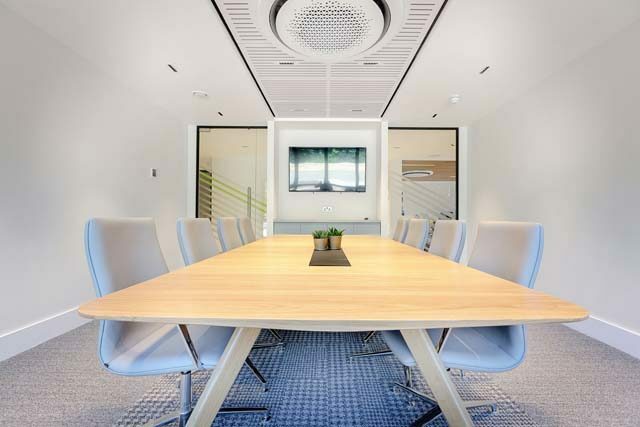 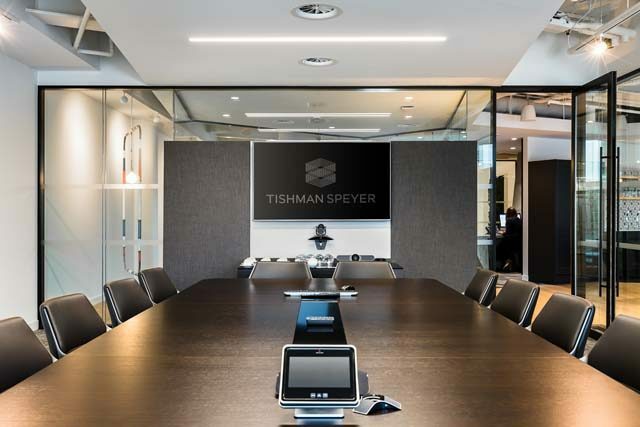 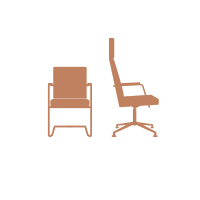 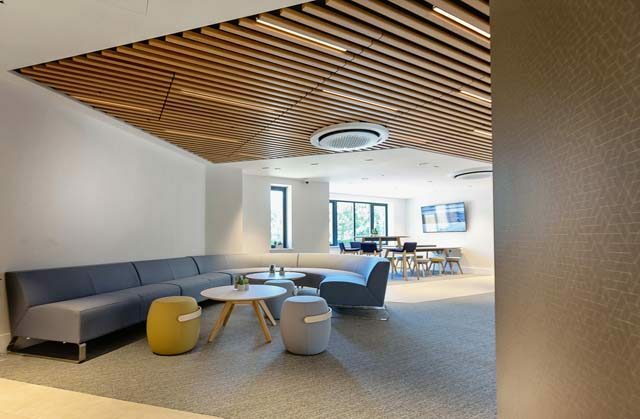 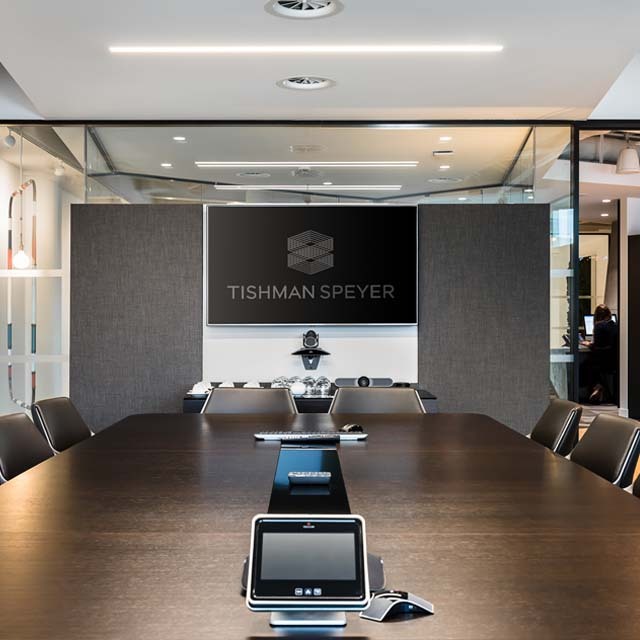 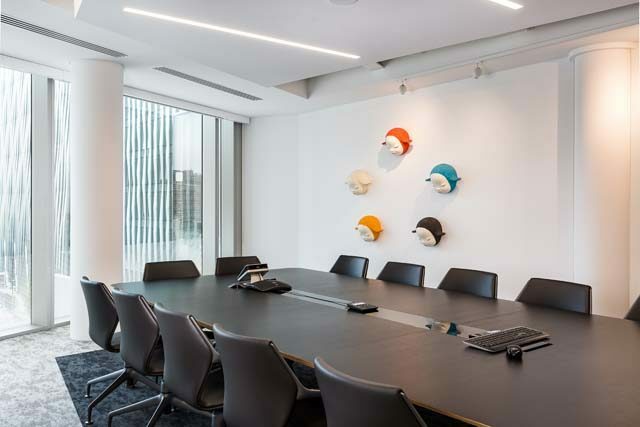 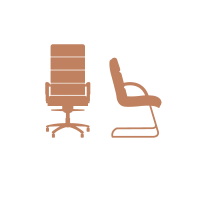 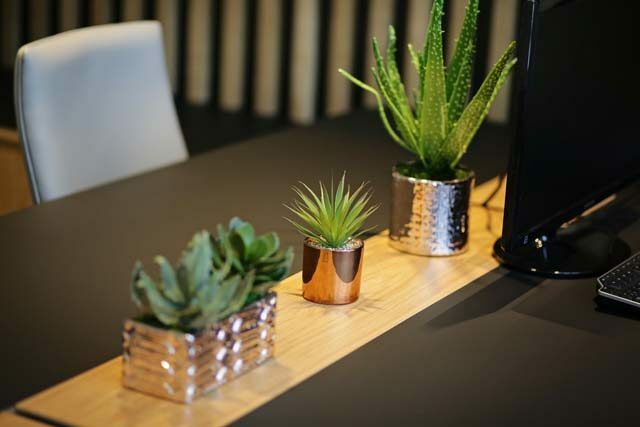 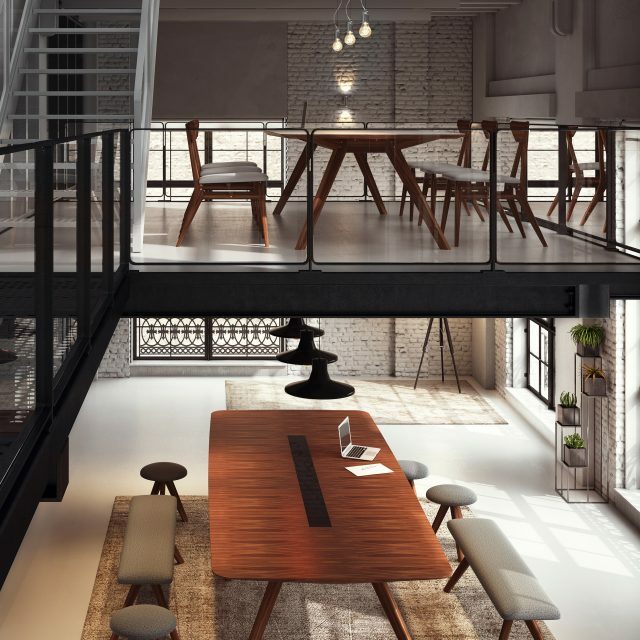 The modern workplace relies on collaboration, interaction and engagement. VANTAGE embraces these practices in an elegantly informal way. 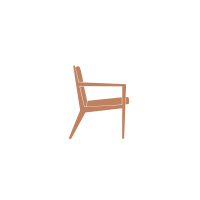 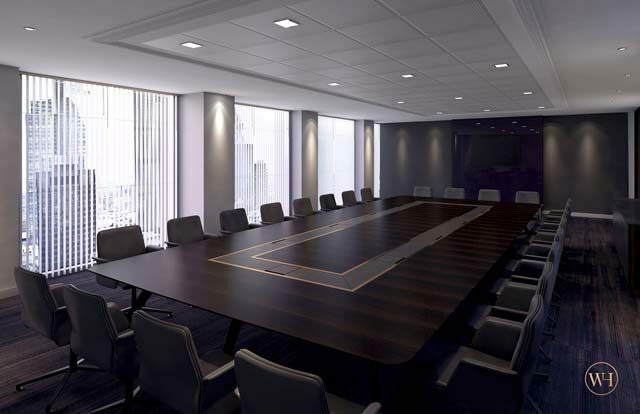 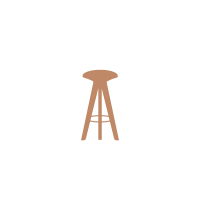 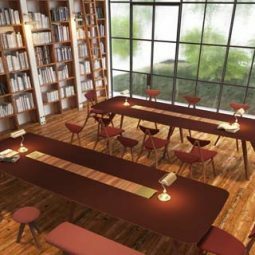 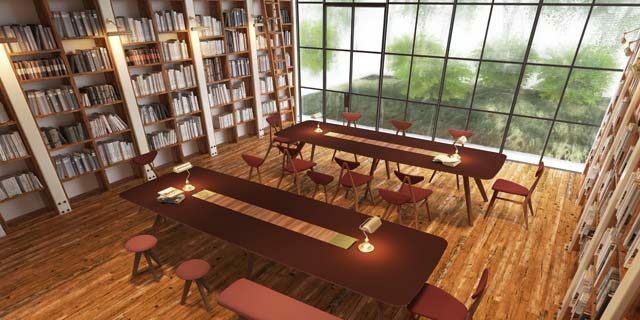 With the VATAGE meeting HUB offering the perfect place to share and inspire. 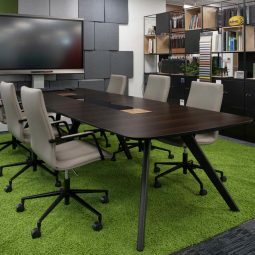 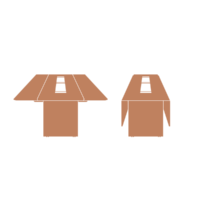 A more natural way of meeting and collaborating.